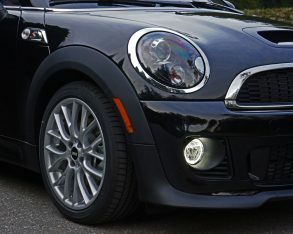 Clubman to market for 2015, the rest of the model lineup will remain mostly unchanged this year, and as far as I’m concerned that’s not a bad thing. 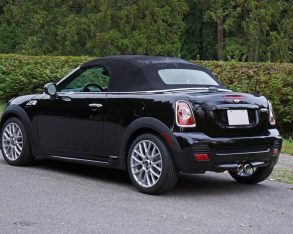 I love the more aggressive look and slimmer bodylines of Mini’s outgoing generation, the sharply dressed Roadster being one of its most enticing examples. 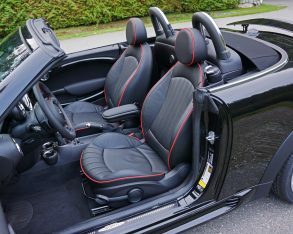 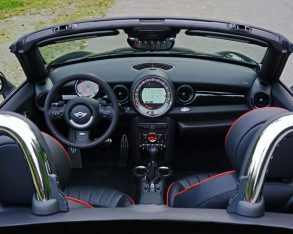 I had opportunity to test a base 2014 Cooper Roadster not too long ago, and while I loved the way it looks, its impressive roominess in the cockpit and in the trunk, and of course the way it takes to the corners, the Cooper S Roadster satisfies my desire for more power without much drain on the pocketbook when it comes time to fill up. 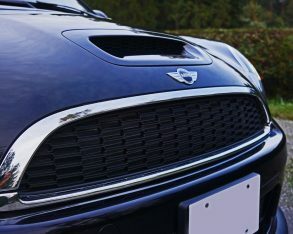 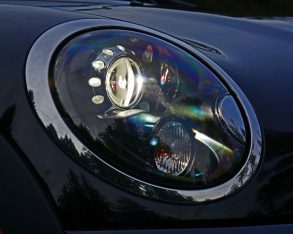 the Roadster’s impishly menacing grille is a more potent version of Mini’s 1.6-litre inline four-cylinder engine, using direct-injection and a twin-scroll turbocharger to raise its game from 121 horsepower to 181, and from 114 lb-ft of torque to 177 lb-ft; 192 on overboost. 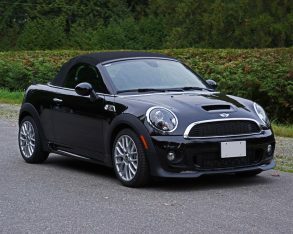 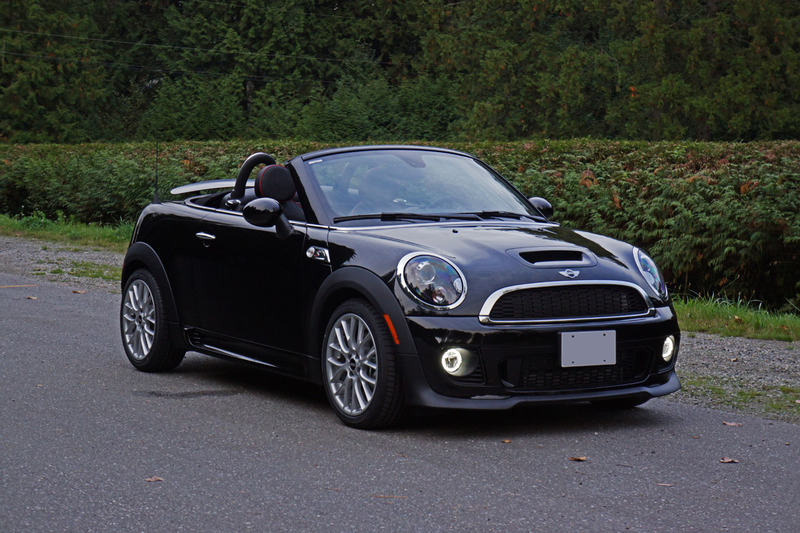 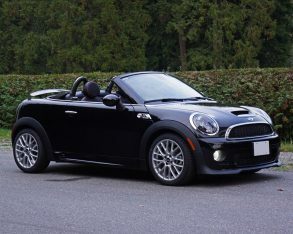 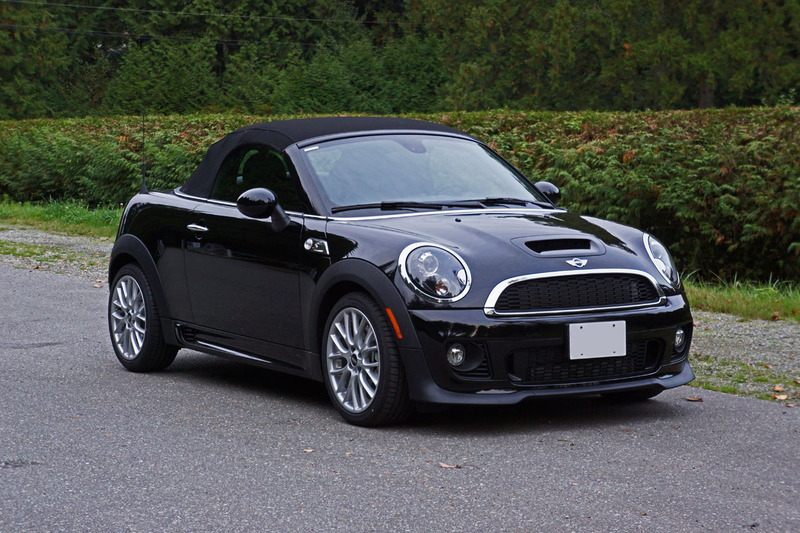 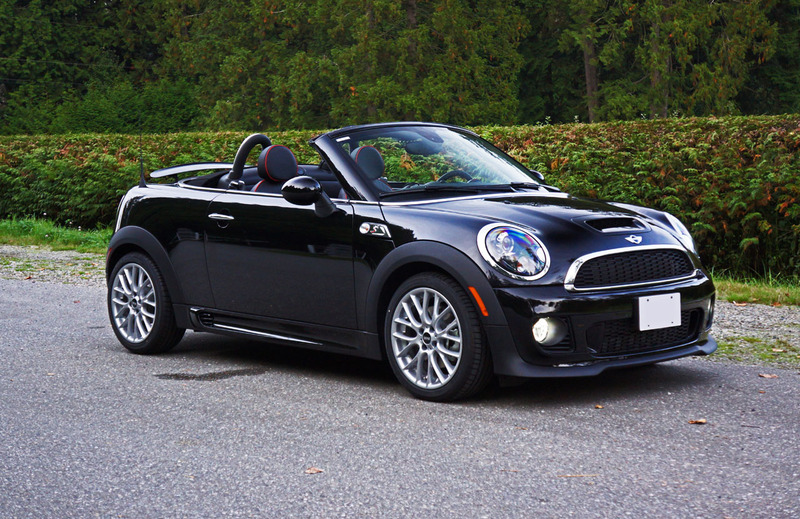 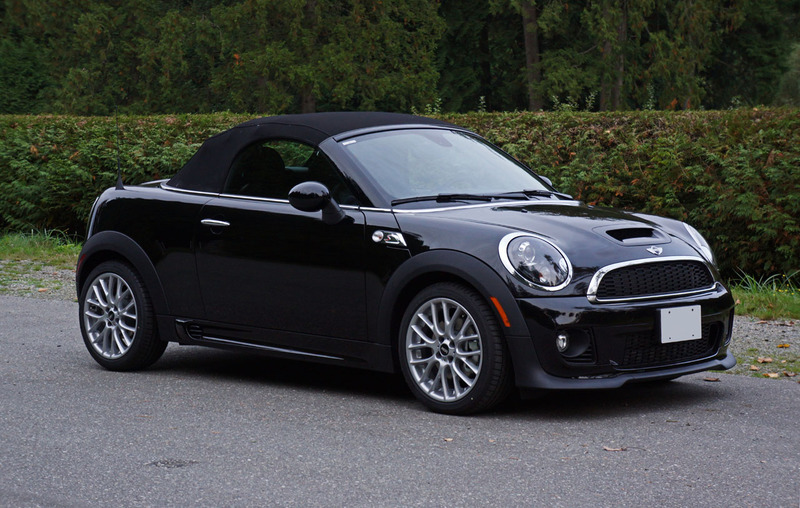 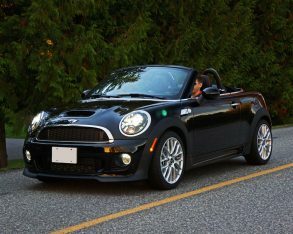 The difference between the two models isn’t merely noticeable, it’s a full blown category three storm of drama, the little turbo stirring up a whirlwind of get-up-and-go that immediately slingshots the tiny drop-top forward with near relentless energy. 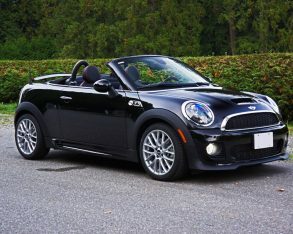 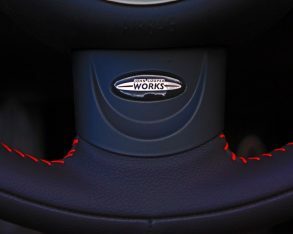 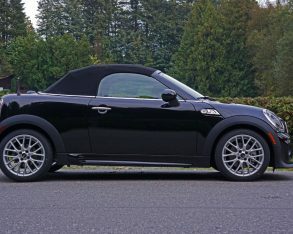 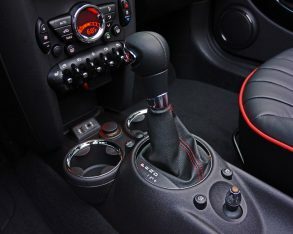 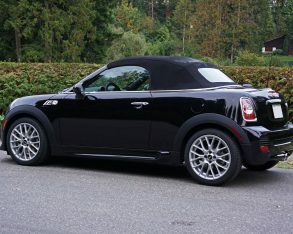 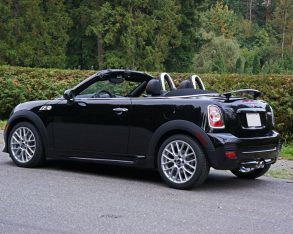 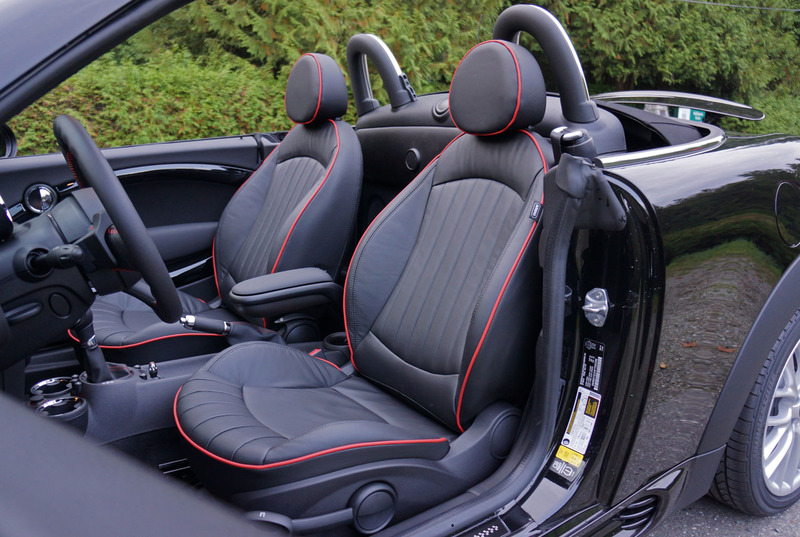 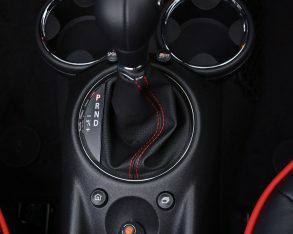 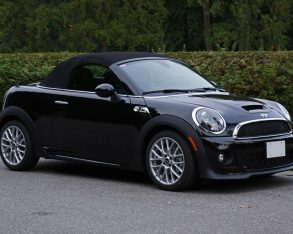 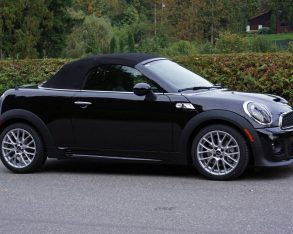 OK, maybe category three should be saved for the 208 horsepower John Cooper Works Roadster, but you get the gist. 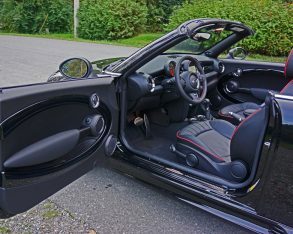 whirlwind I spoke of before, you can certainly feel the difference between 7.3 seconds to 100 km/h and 10.6.
comparison, while the added power allowed for a lot more excitement while exiting corners and barreling down the straights. 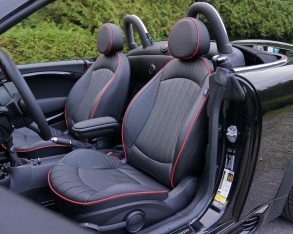 and superbly comfortable seats. 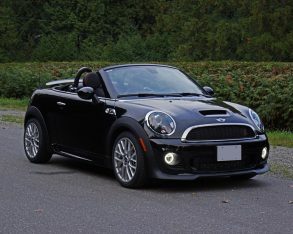 My tester improved things further by adding a variety of extras such as the Premium Package, which includes a sensational sounding Harmon/Kardon audio upgrade, an auto-dimming rearview mirror, a side mirror package, automatic rain-sensing wipers, heated seats, a centre armrest, and rear parking sonar that’s much appreciated when the top is lowered and rear vision is reduced, plus front and rear fog lights. 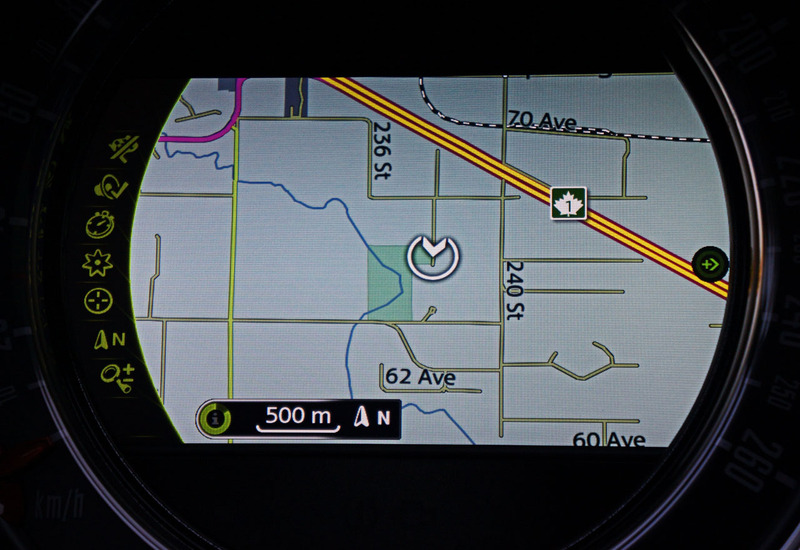 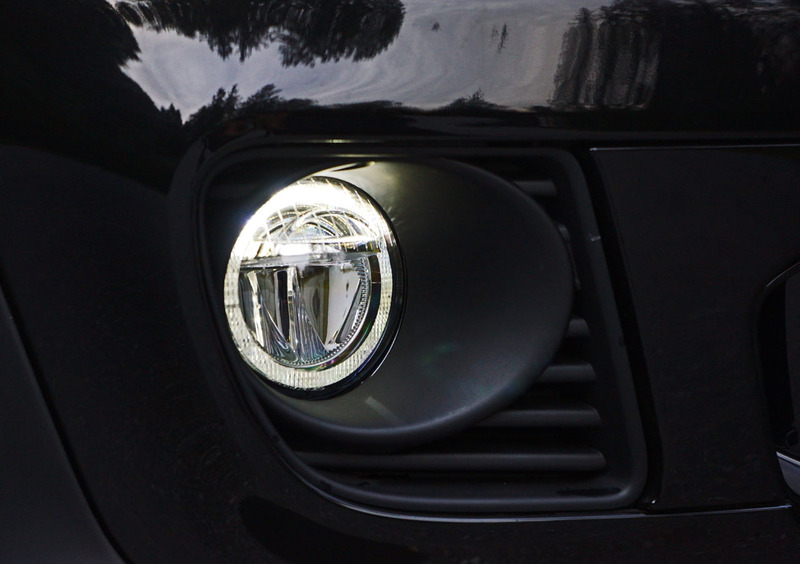 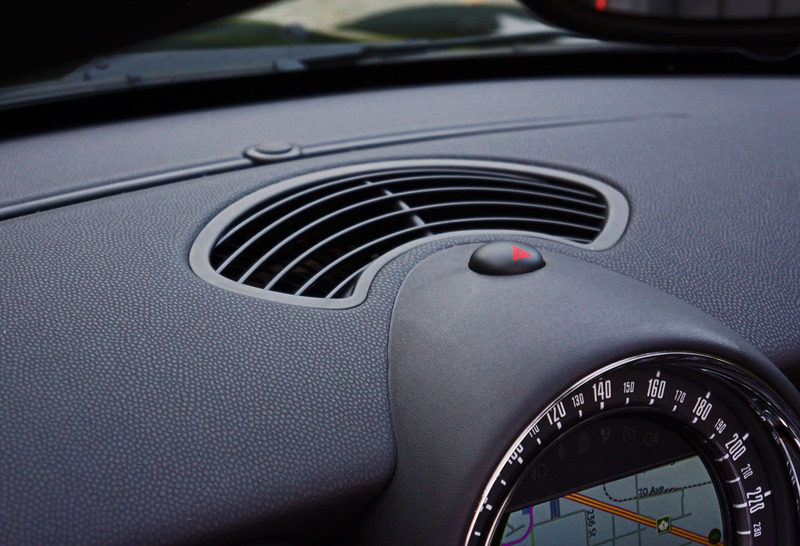 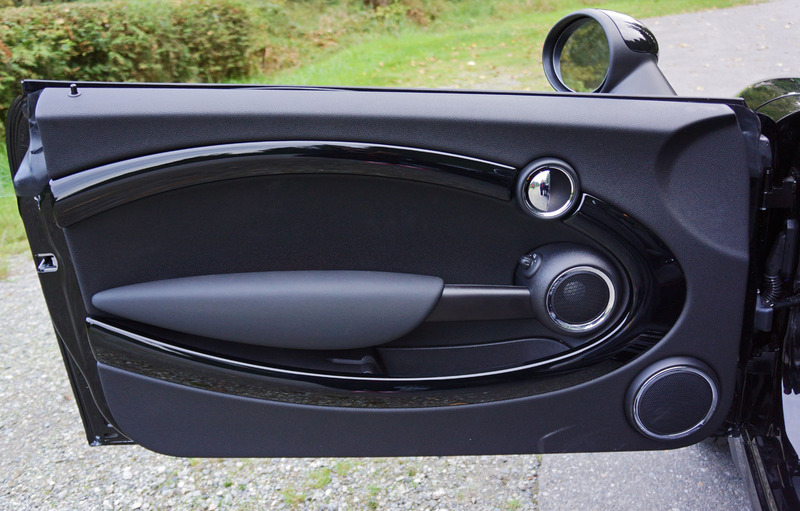 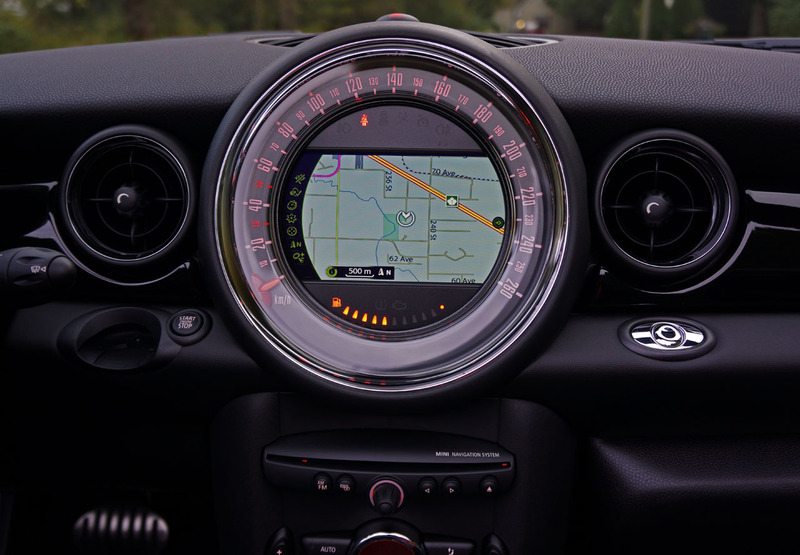 which spins around the outside of the infotainment display for a truly remarkable visual. 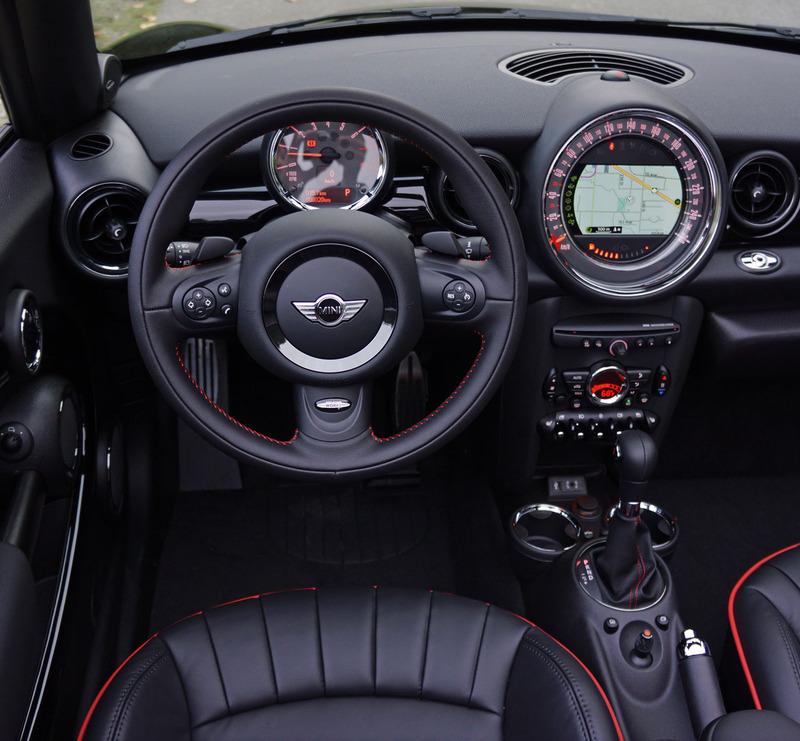 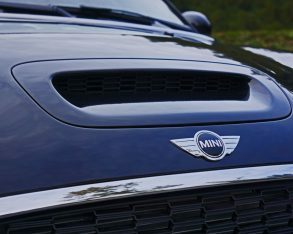 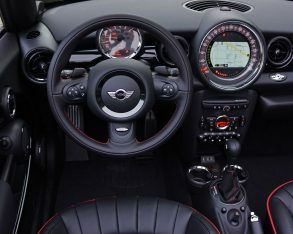 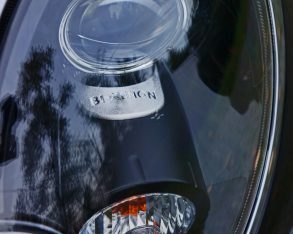 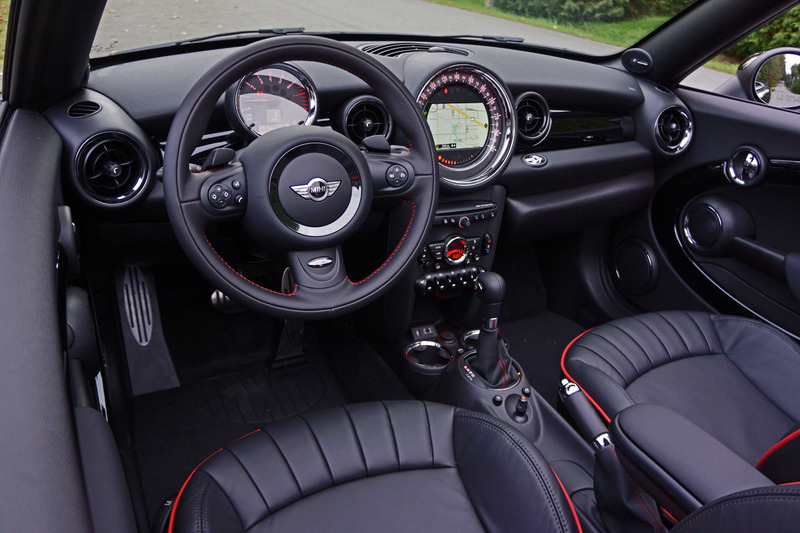 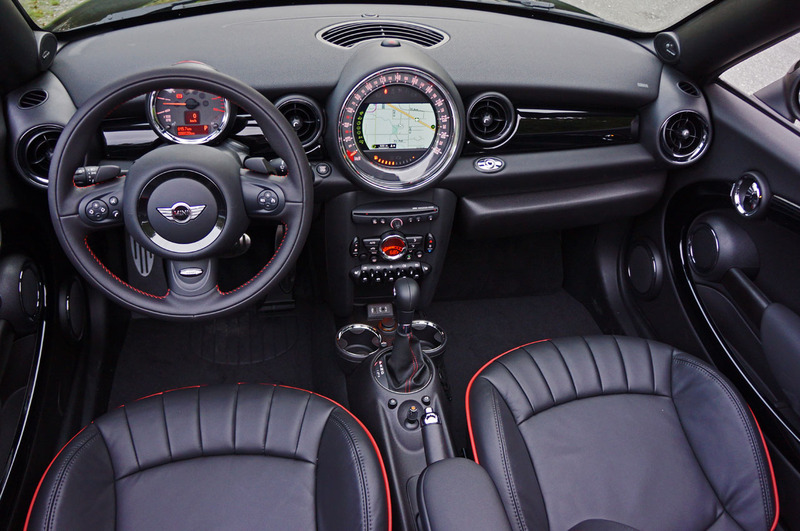 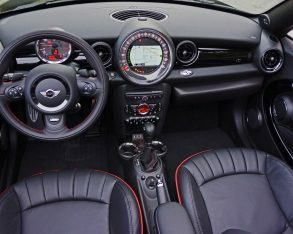 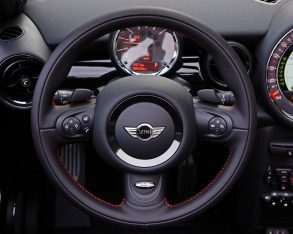 What’s more, Mini added the Style Package that includes extra chrome inside and out as well as piano black accents to the interior. 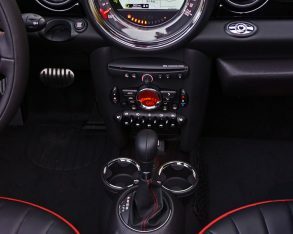 Standalone upgrades included black reflectors in the headlamp clusters, Championship black leather upholstery with hot red piping to match all the red stitching found throughout the rest of the cabin, while accessing the car was made easier with proximity sensing Comfort Access to go along with the standard pushbutton ignition. 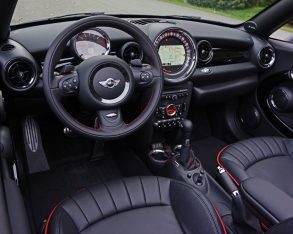 steering wheel with cruise control, power windows with one-touch up/down, heated power remote mirrors, automatic climate control, an AM/FM/CD/MP3 audio system with high-definition radio, USB and aux plugs plus Bluetooth hands-free, an on-board computer, carbon-black leatherette upholstery, multiple-colour ambient lighting, a manually operated black cloth soft-top, a wind deflector, bi-Xenon HID headlights, headlight washers, white turn signal lenses for an über kool Euro-spec appearance, classic chrome door handles, a pop-up rear spoiler that extends at 80 km/h, and a handy tailgate with the load-bearing weight of 80 kilograms. 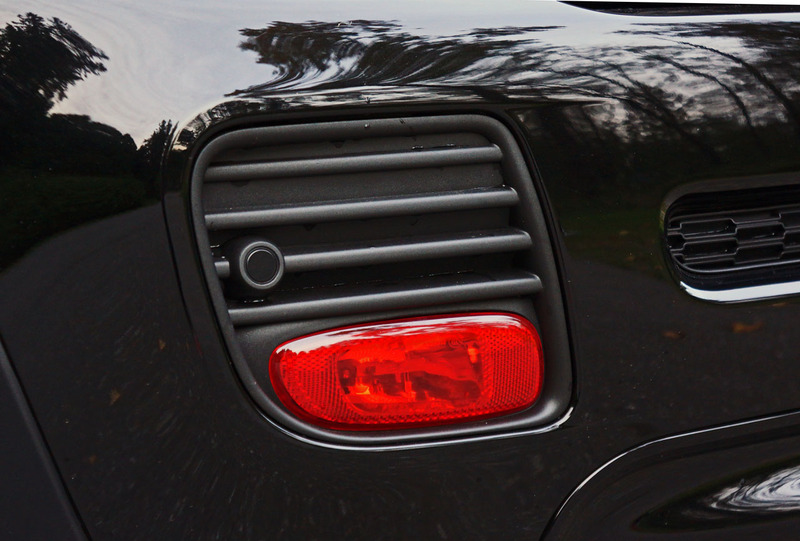 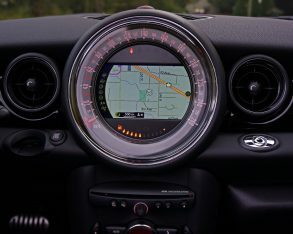 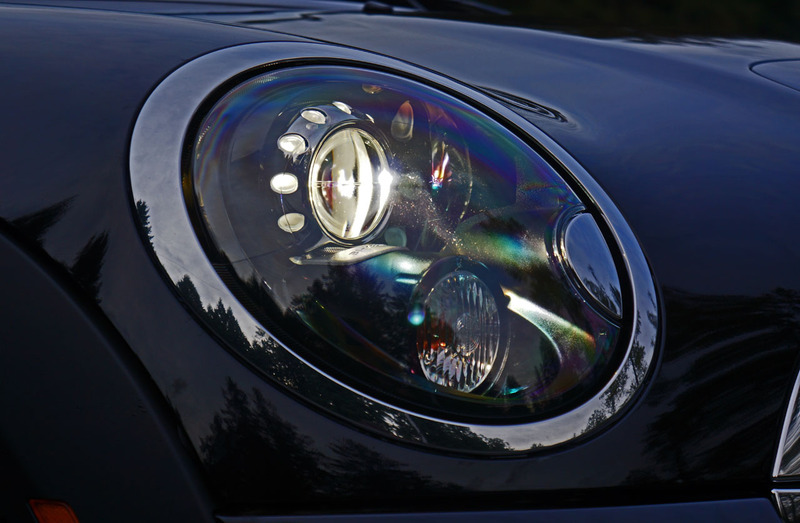 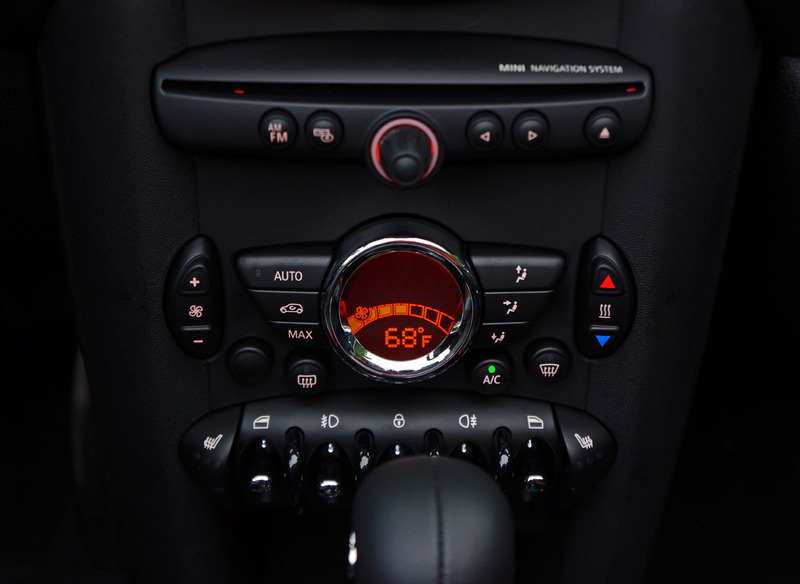 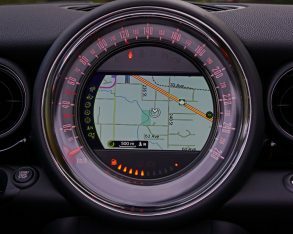 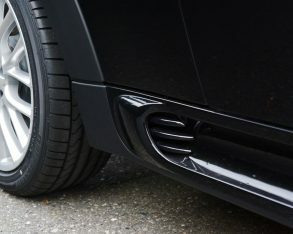 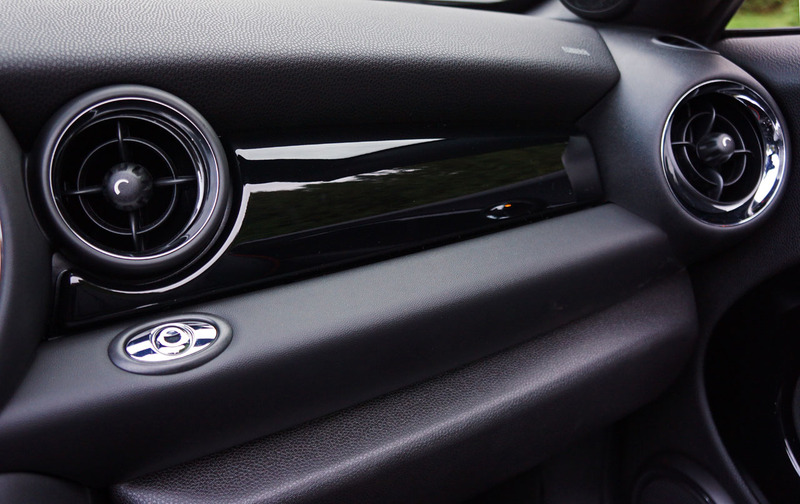 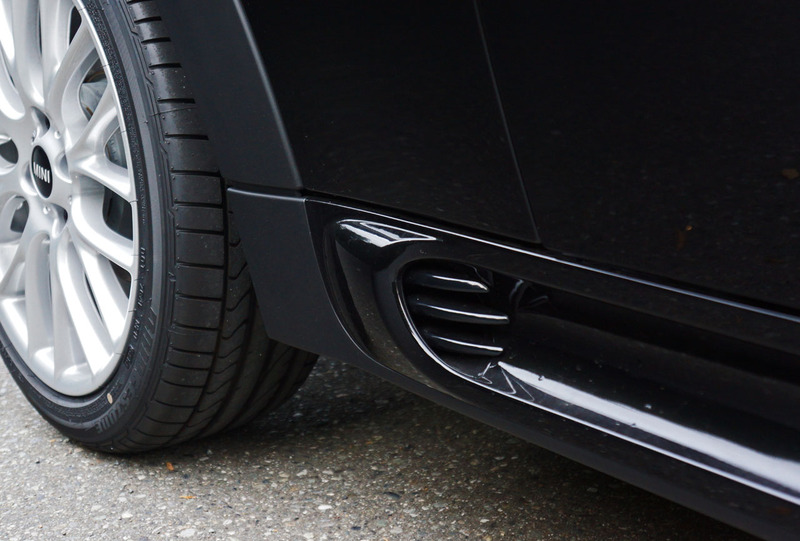 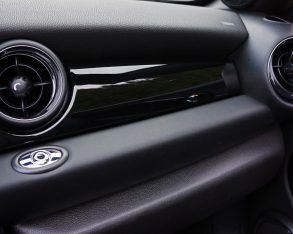 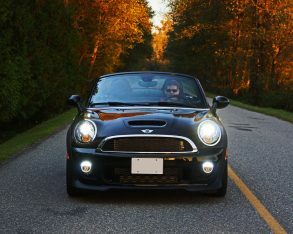 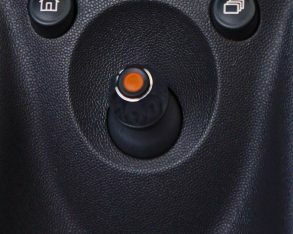 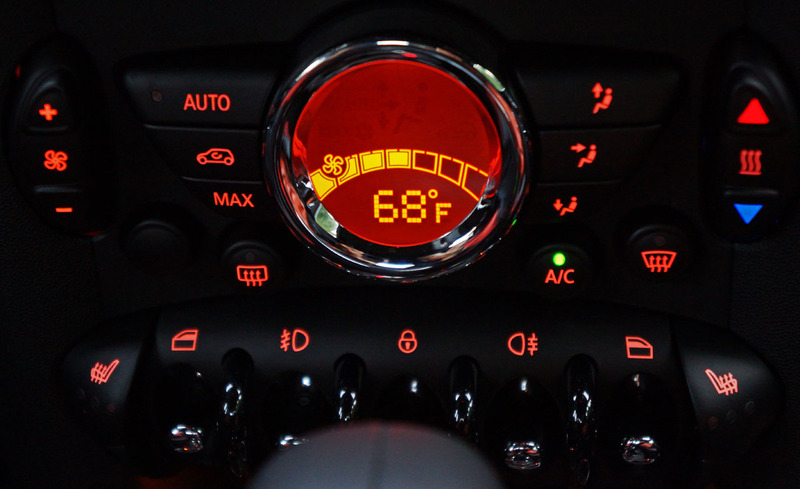 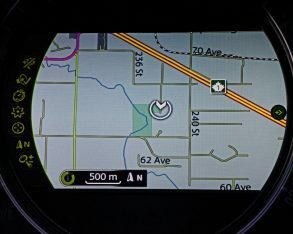 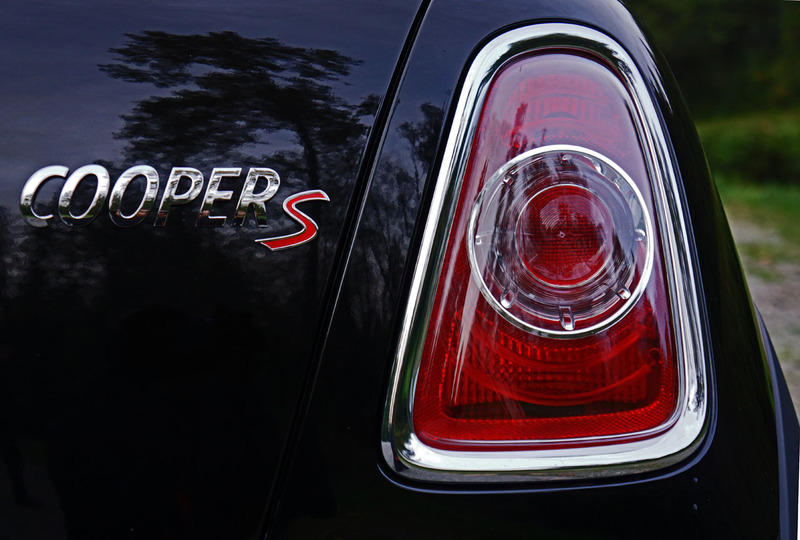 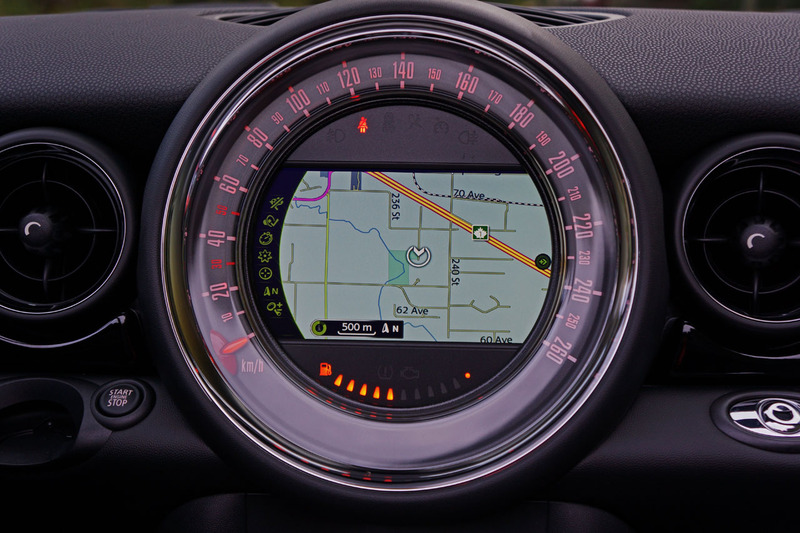 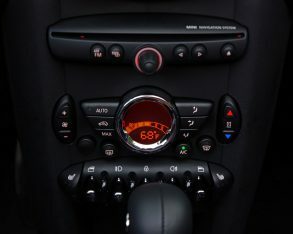 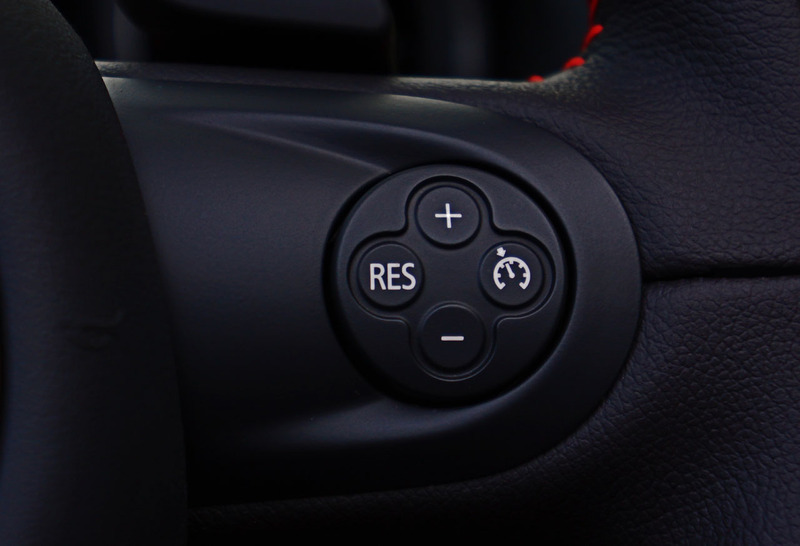 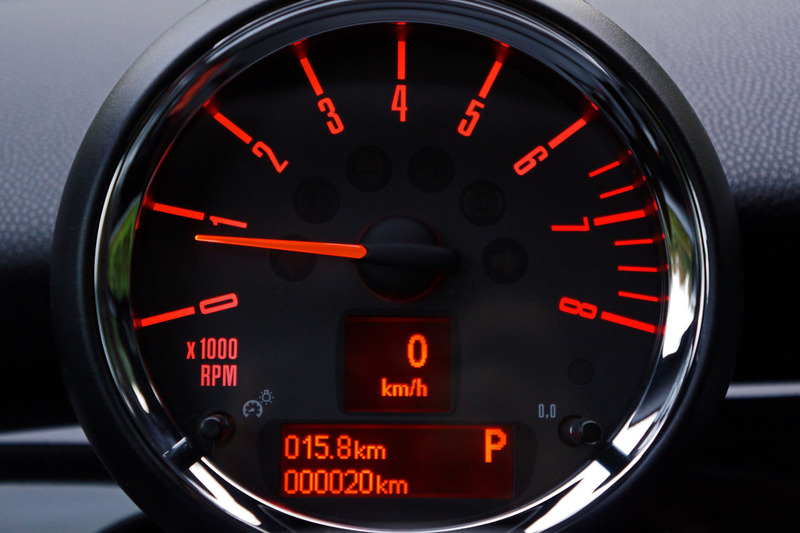 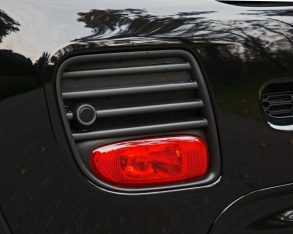 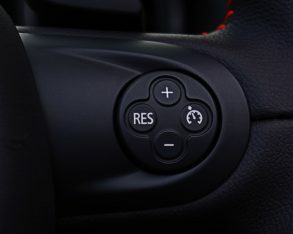 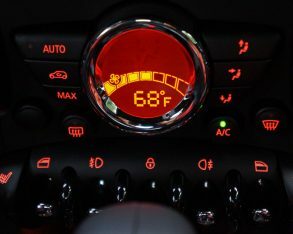 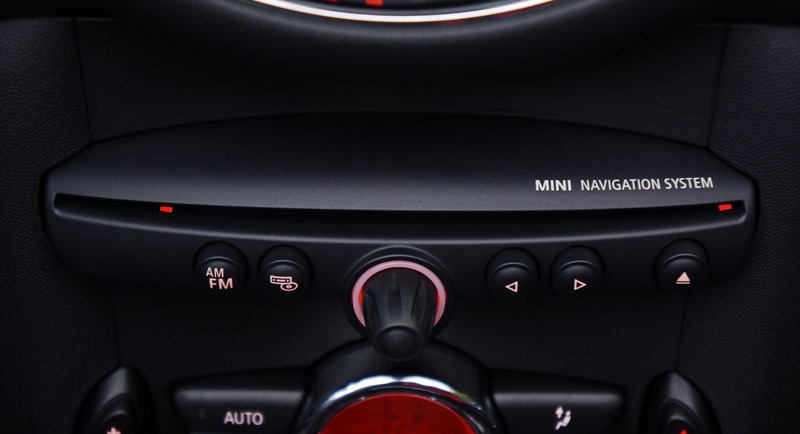 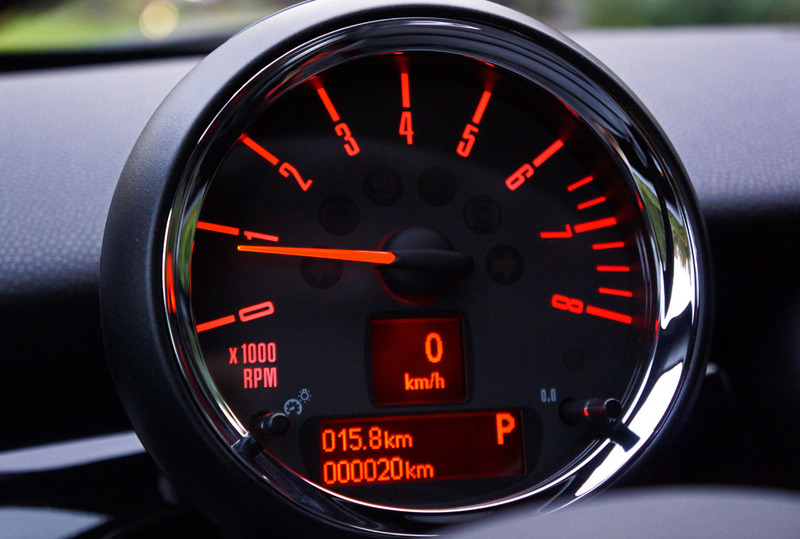 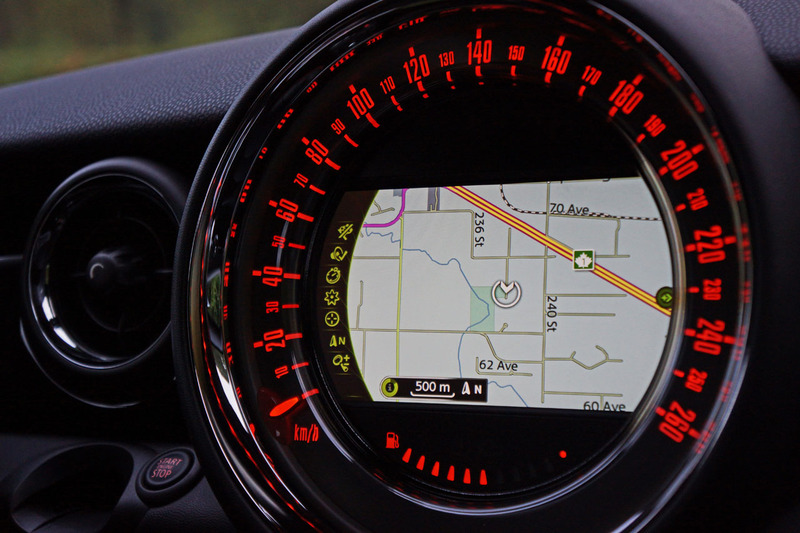 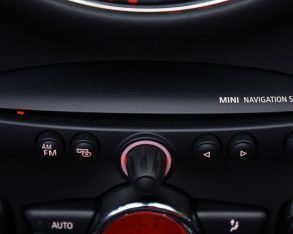 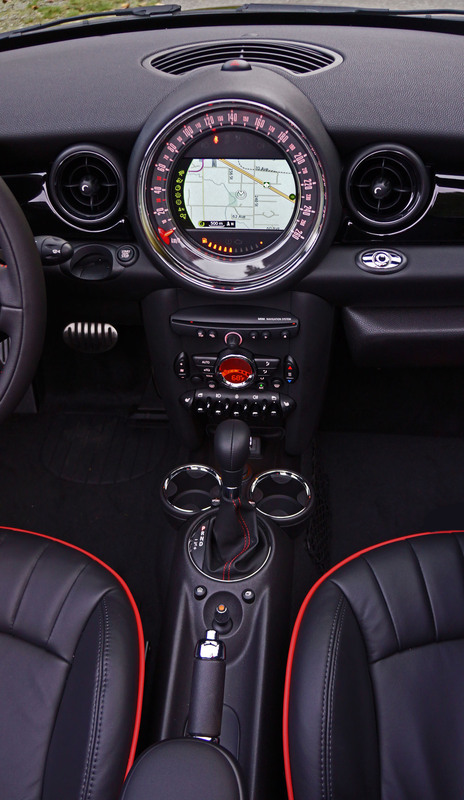 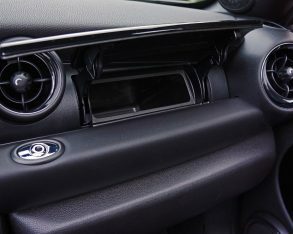 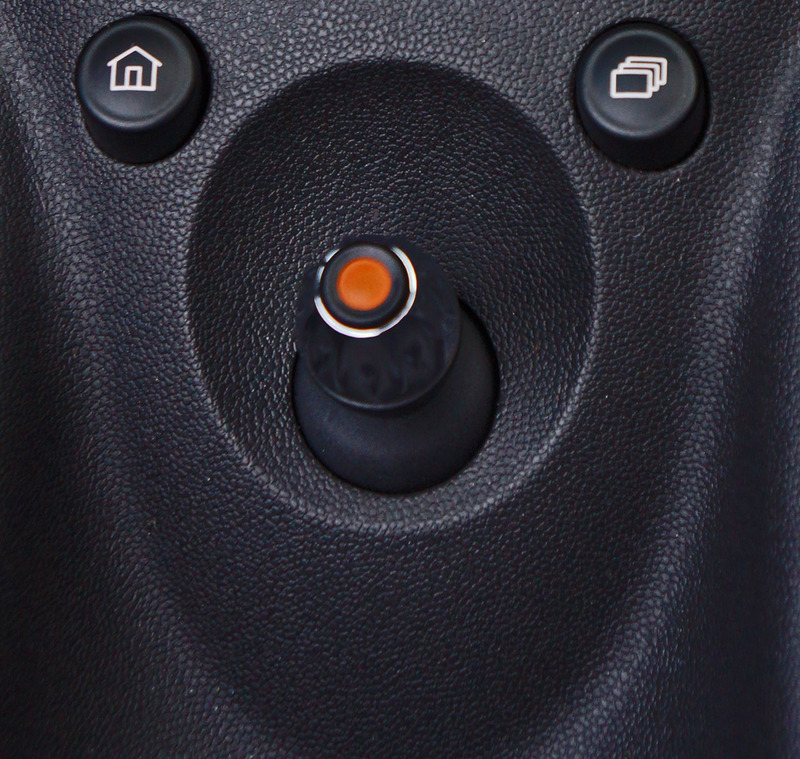 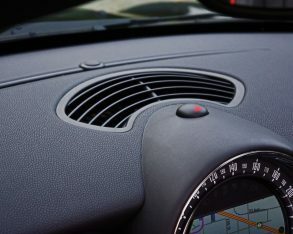 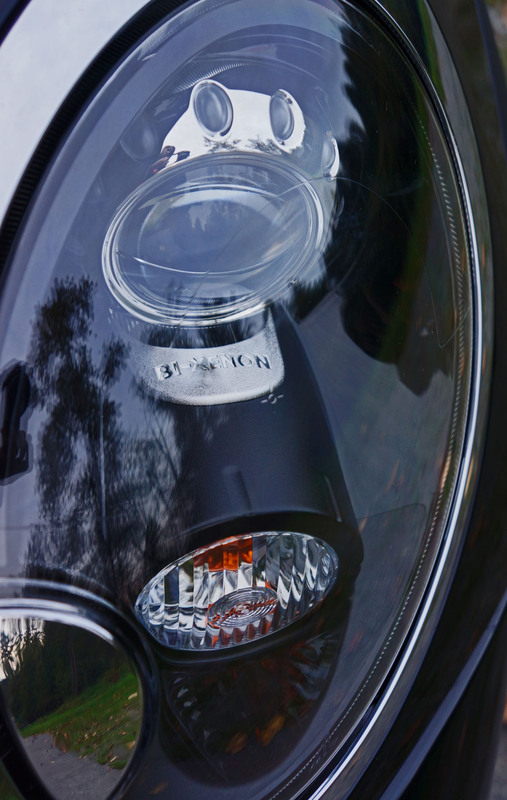 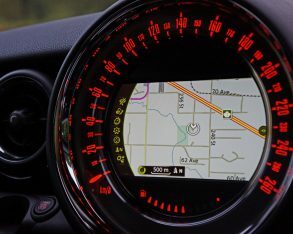 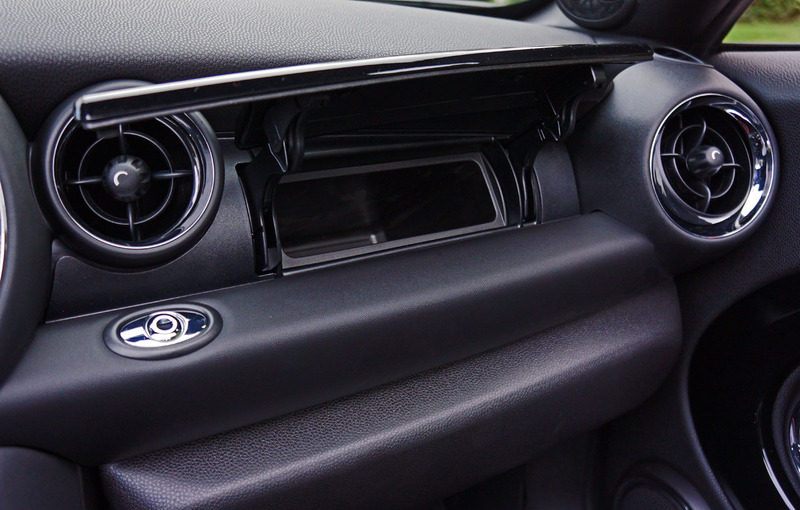 if a rollover occurs, at which point a crash sensor would shut off the fuel flow, turn the lights on and unlock the doors while Mini’s telematics system would automatically call for emergency help and alert the authorities of the situation. 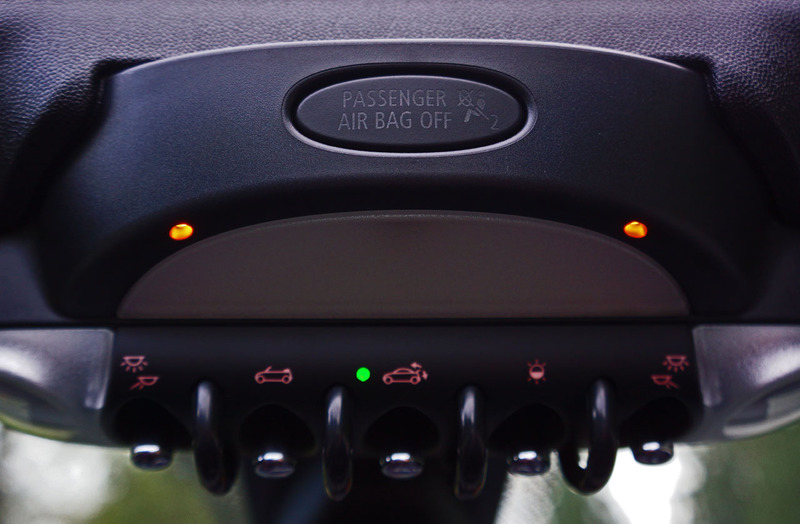 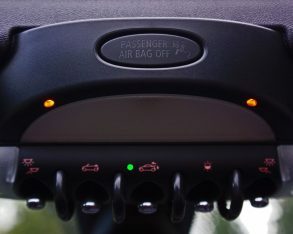 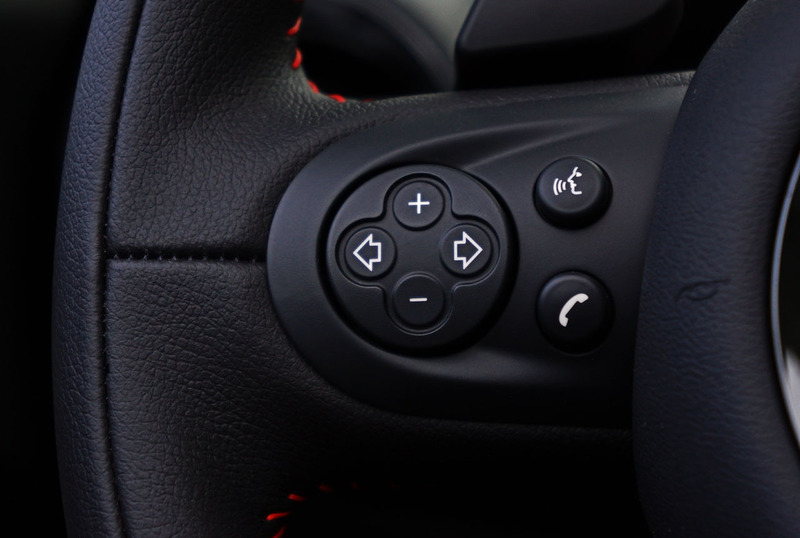 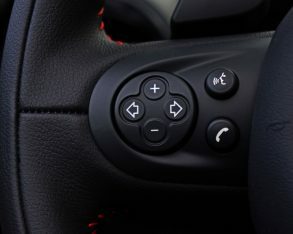 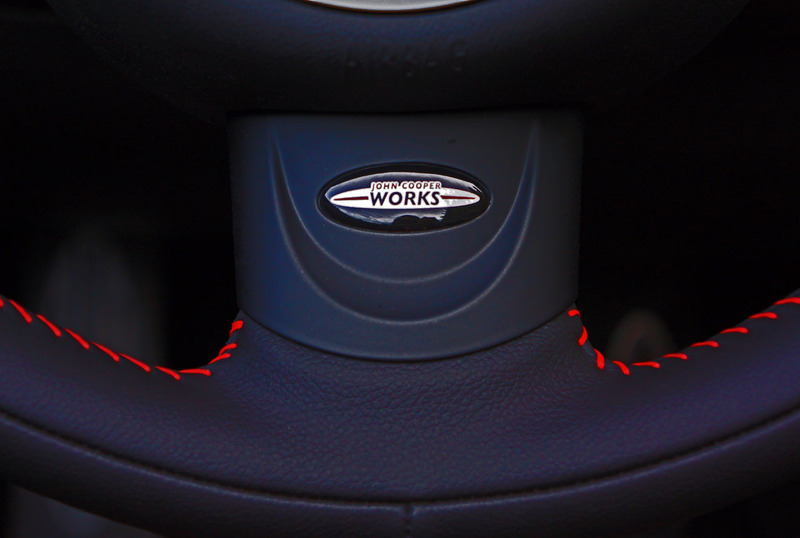 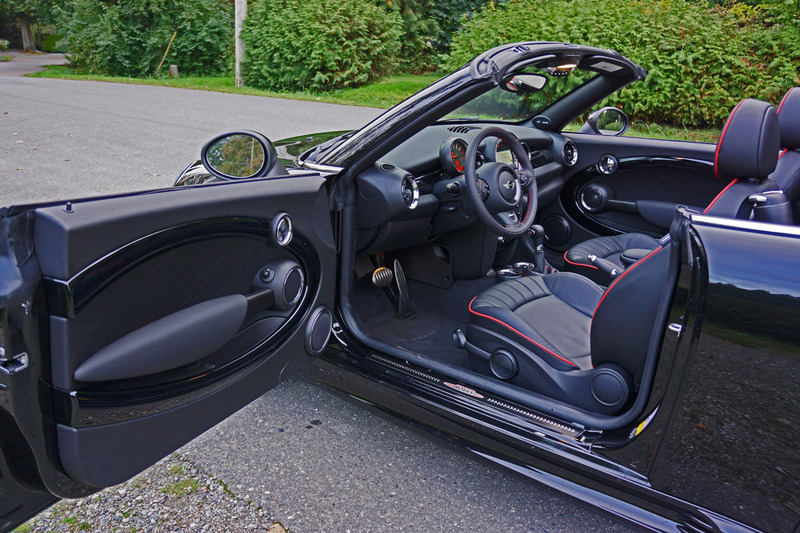 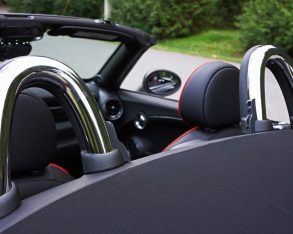 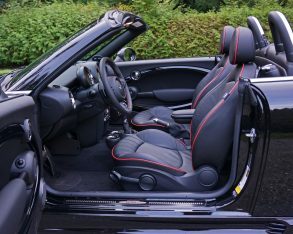 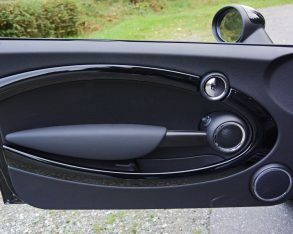 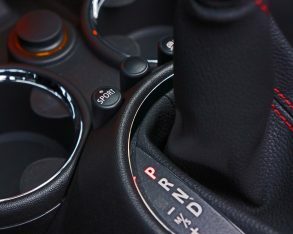 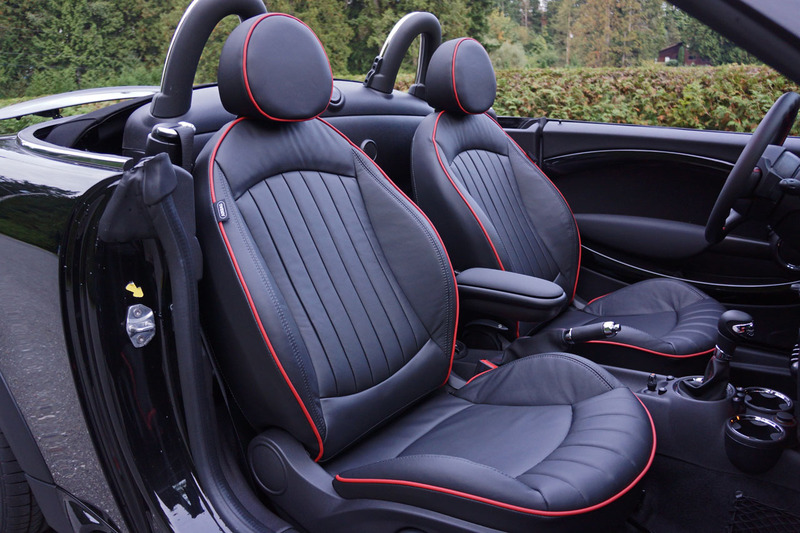 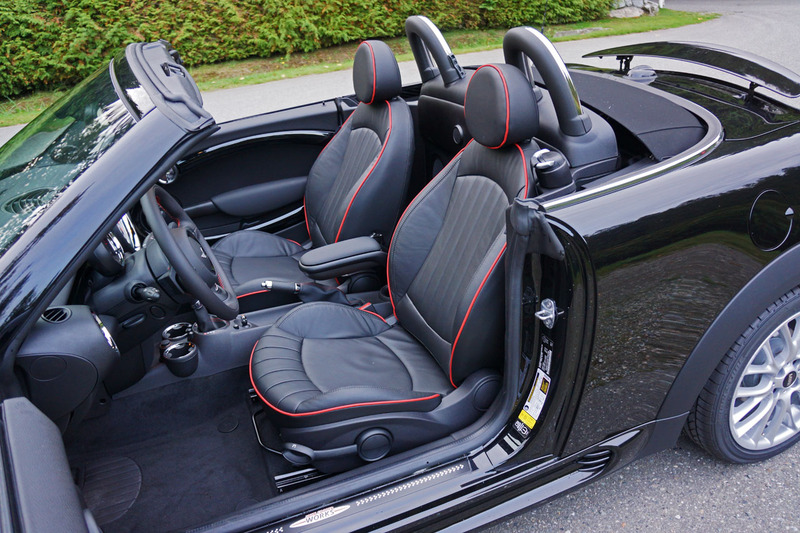 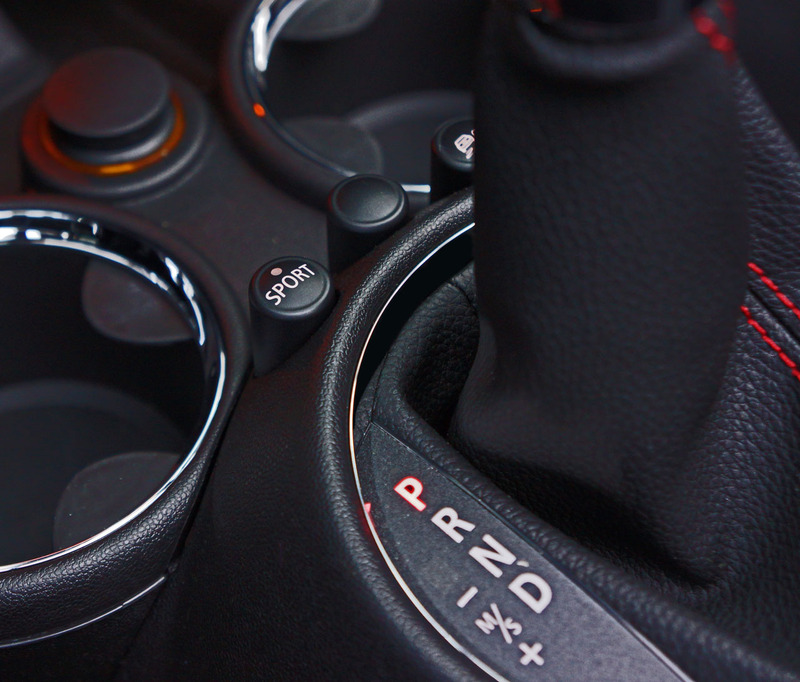 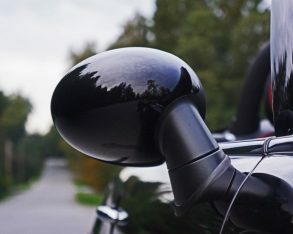 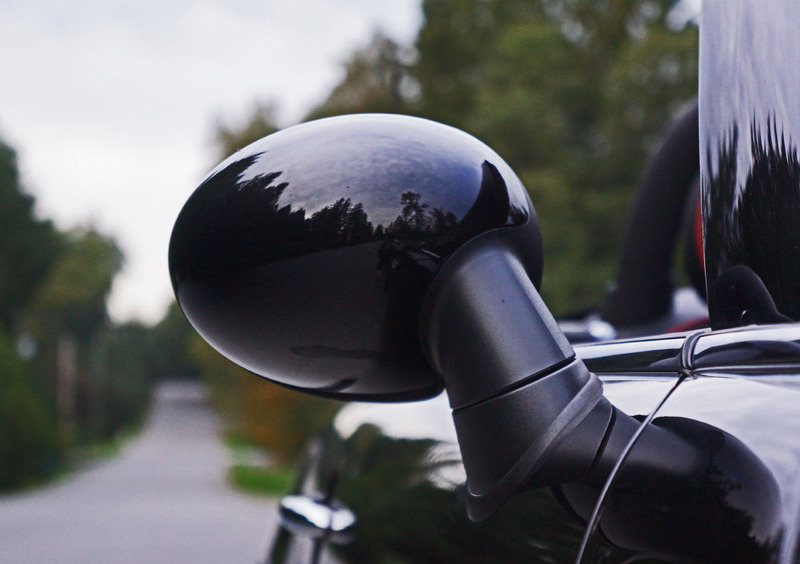 Of course, as part of the passive safety system a full suite of airbags is standard, while active safety solutions include dynamic traction control and dynamic stability control, plus ABS-enhanced four-wheel discs with brake assist and Cornering Brake Control to make sure that accident never happens in the first place. 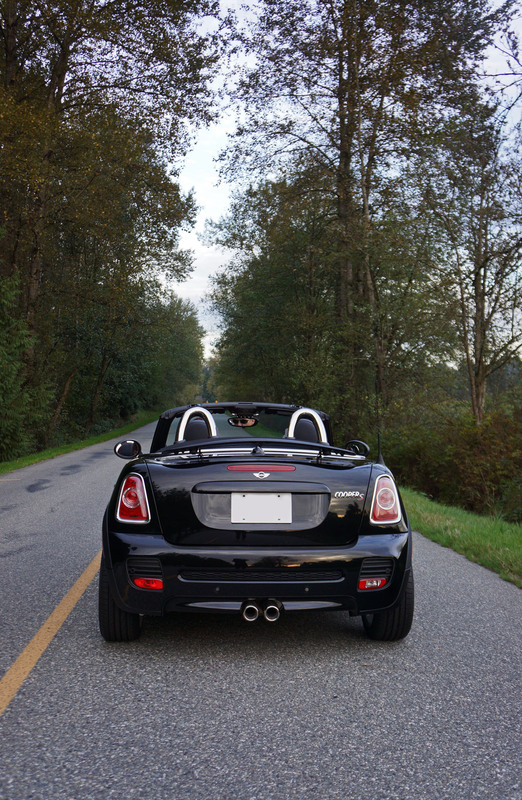 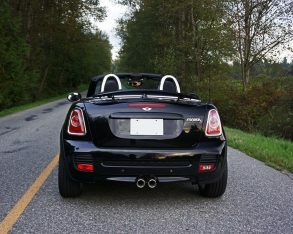 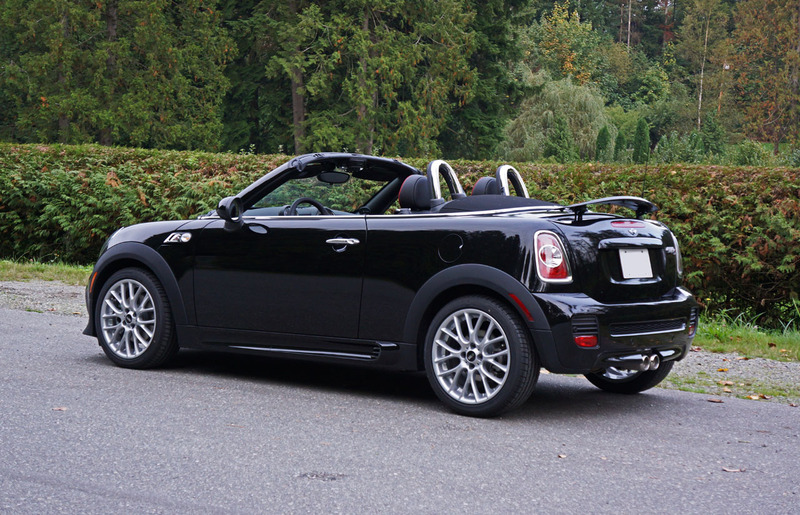 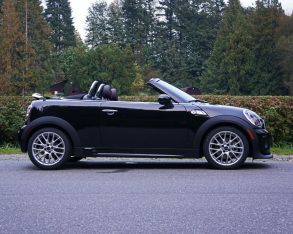 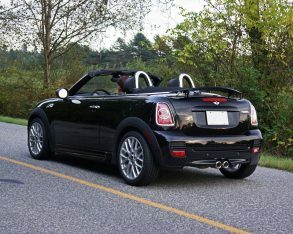 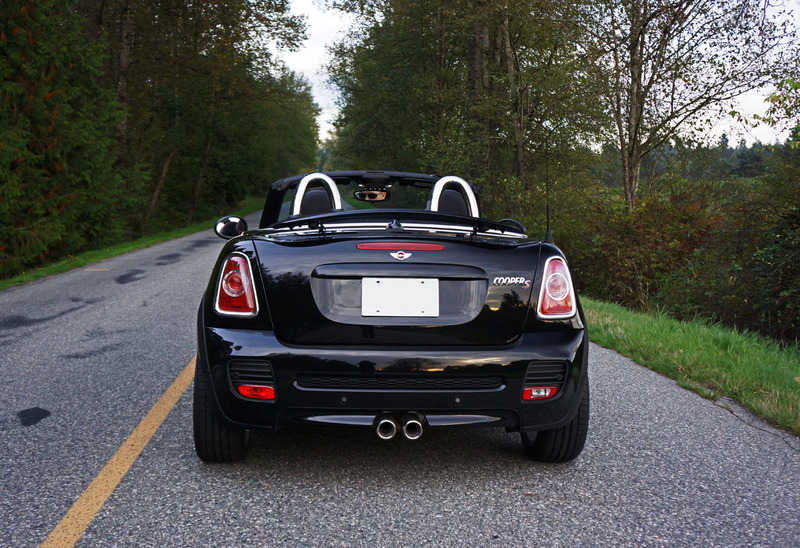 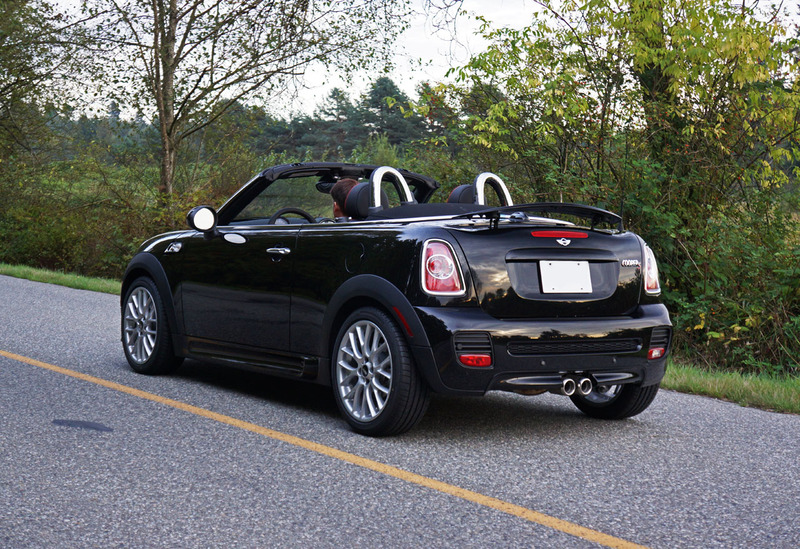 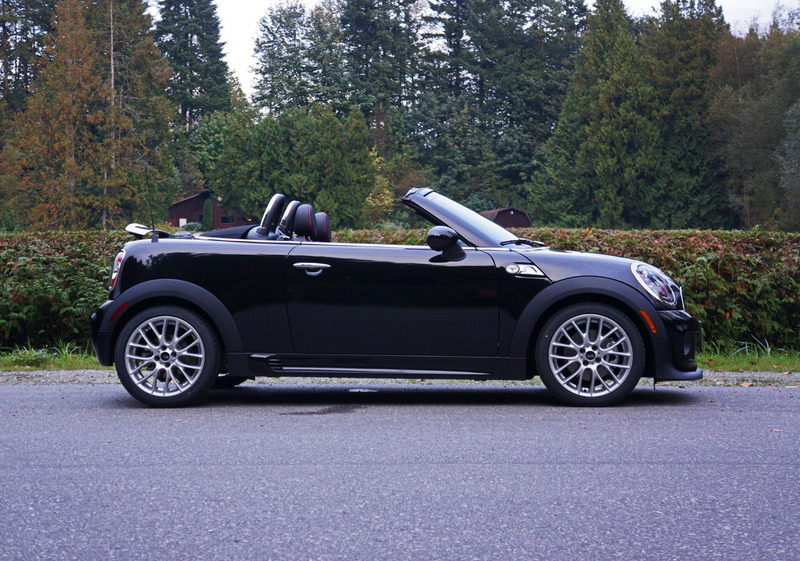 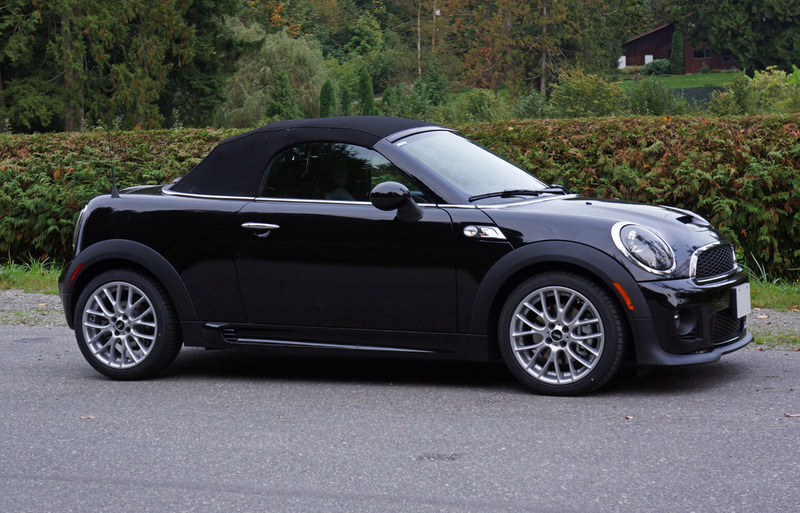 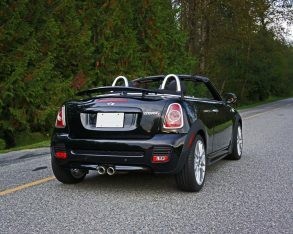 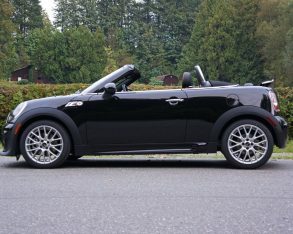 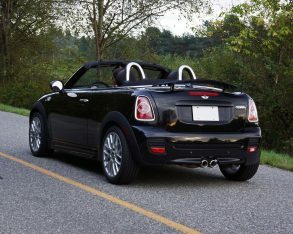 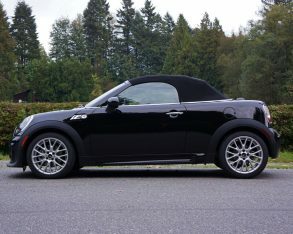 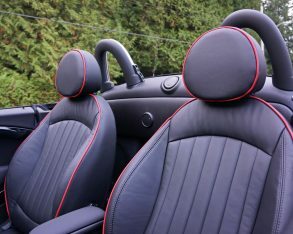 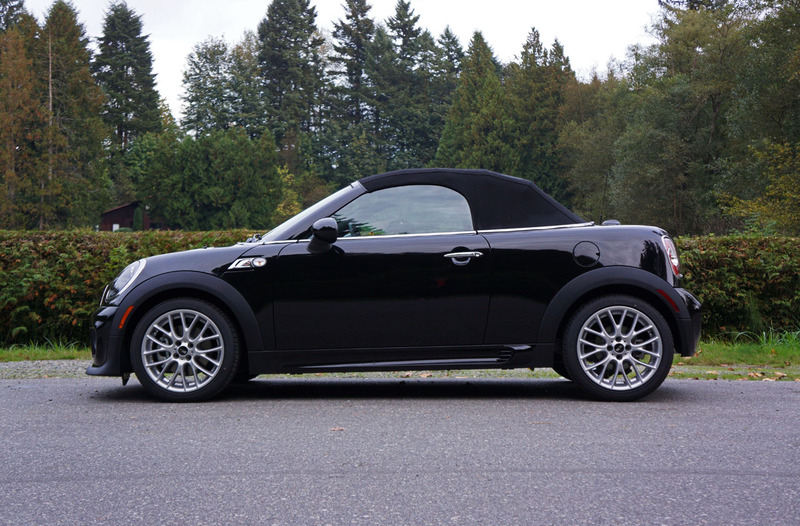 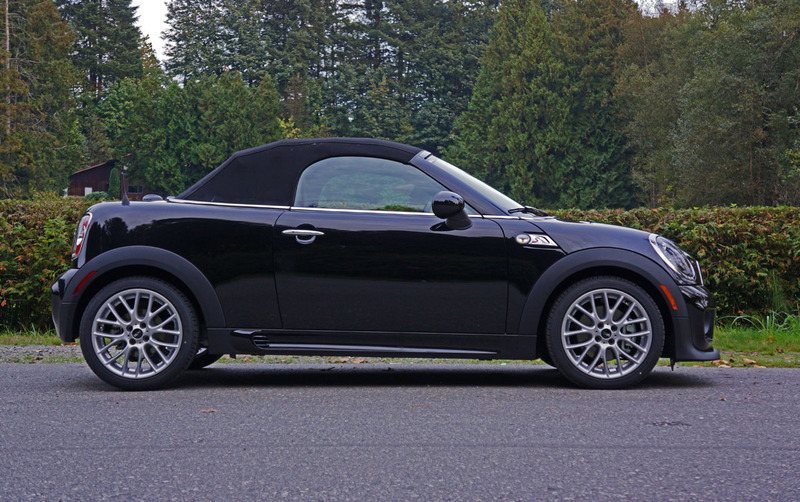 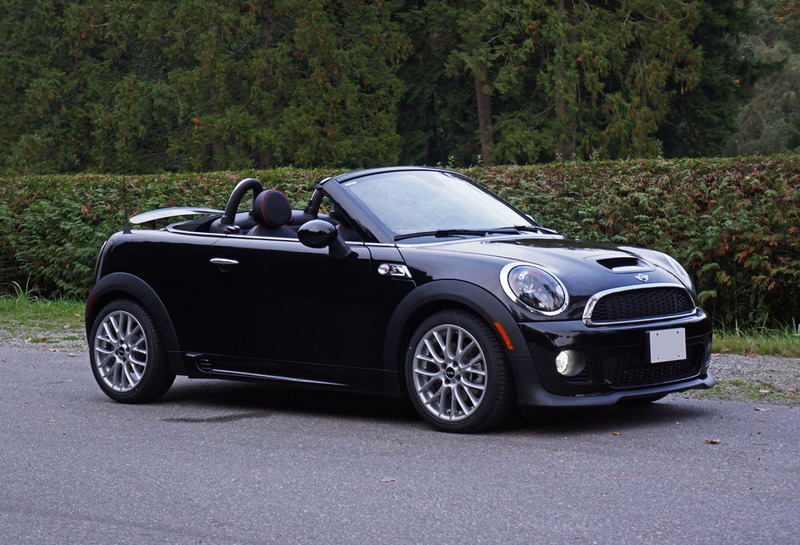 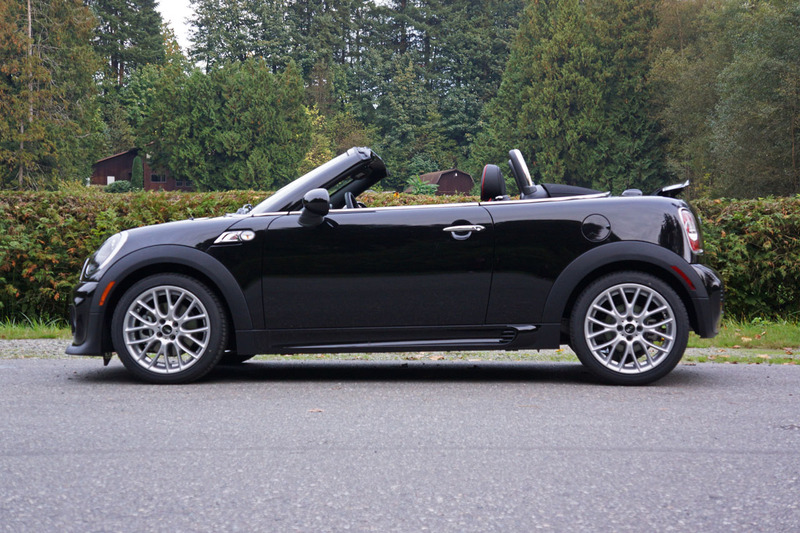 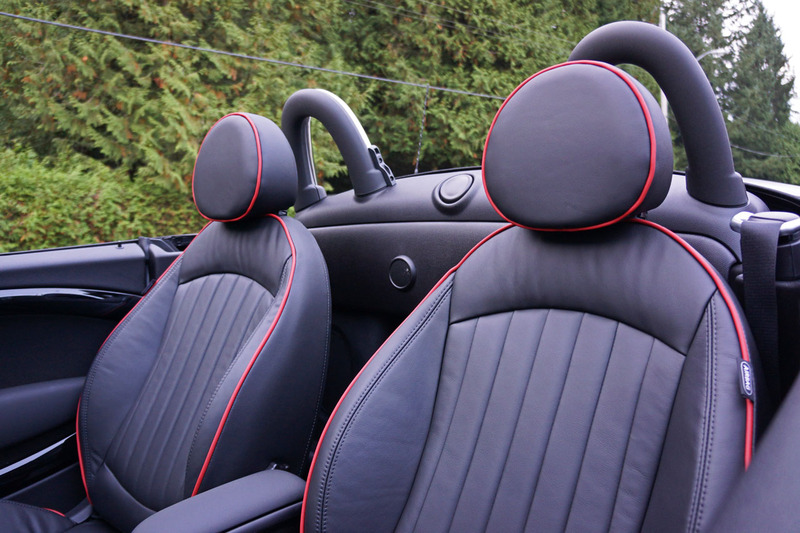 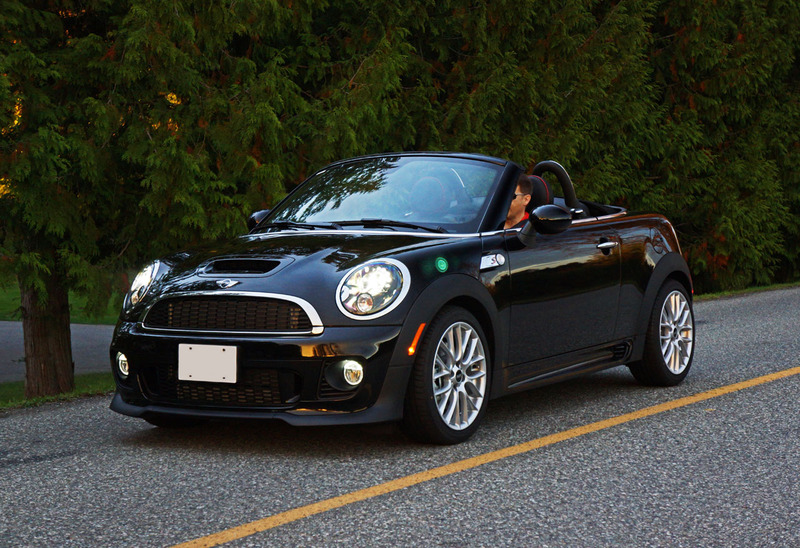 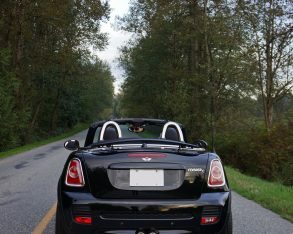 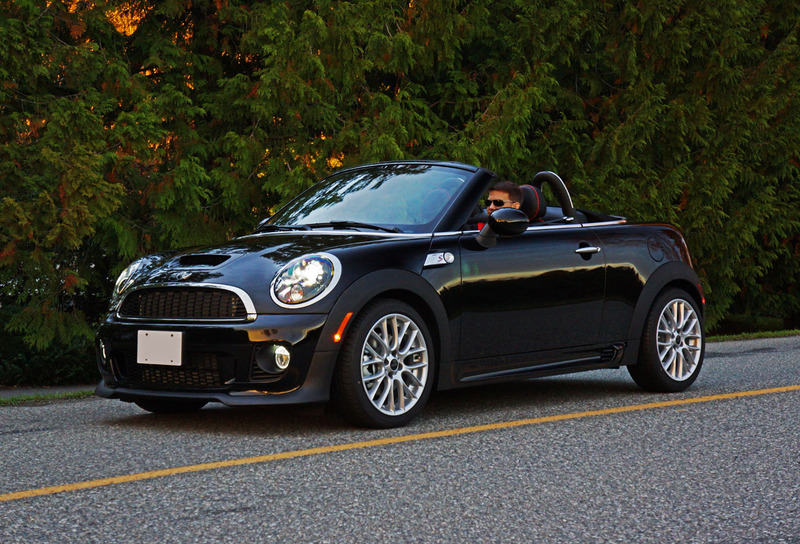 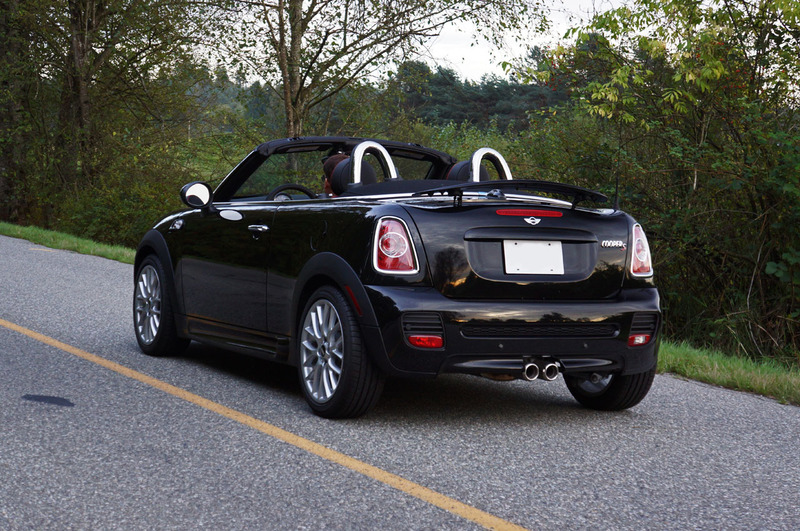 a Cooper S Roadster can be had for just a little more at $32,900. 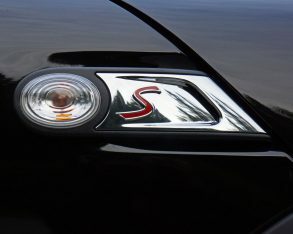 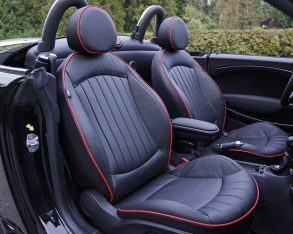 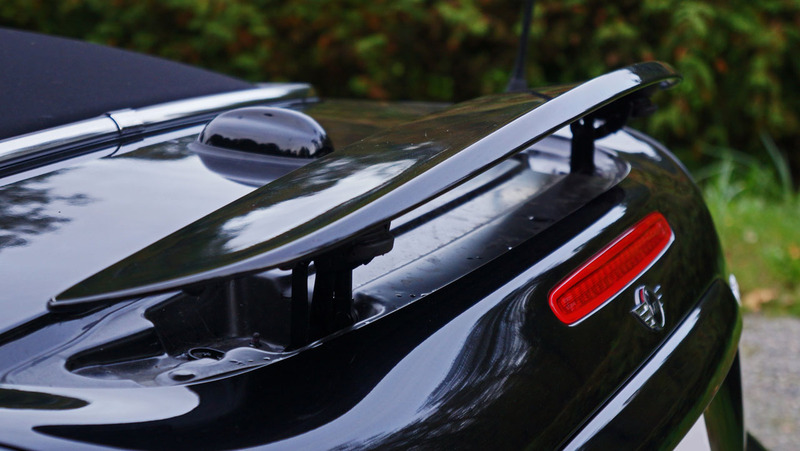 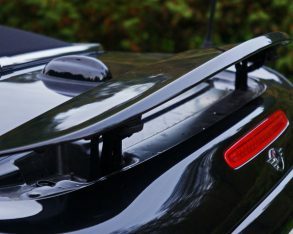 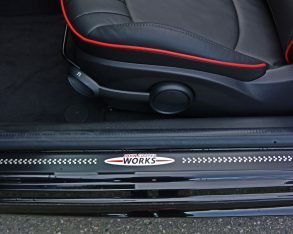 The S gets comfortable and supportive sport seats, plus a unique set of 16-inch rib spoke alloys, and a Sport button for getting the most out of the enhanced powertrain. 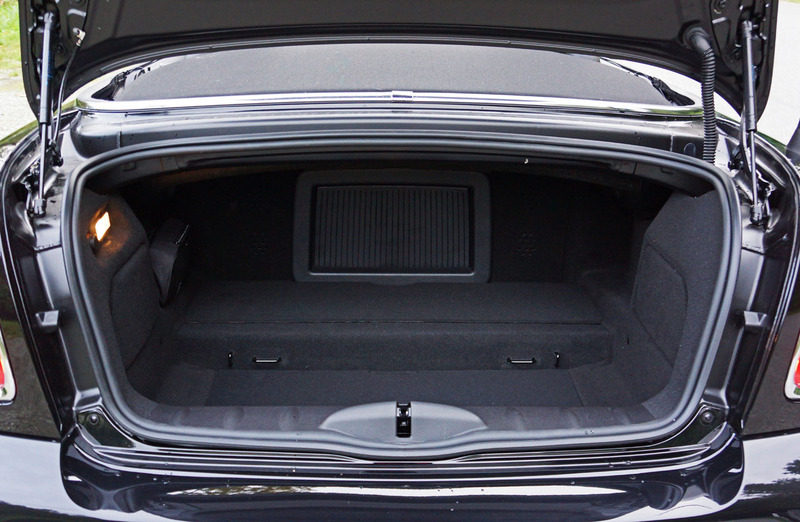 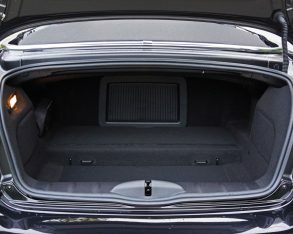 240 litres total capacity, which also makes it roomier than the Mazda MX-5’s trunk. 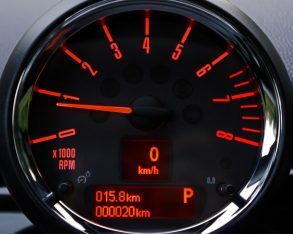 It’s such practical benefits that make life with any Mini enjoyable day in and day out, enhanced by fuel economy that is very efficient. 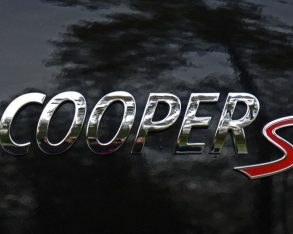 Even lined up beside the much less powerful base Cooper Roadster the sporty Cooper S Roadster doesn’t make you pay too much of a penalty at an estimated 9.2 L/100km city, 6.8 highway and 8.1 combined with the manual or 9.4, 7.1 and 8.3 with the automatic, compared to the base Roadster’s rating of 8.4 city, 6.5 highway and 7.5 combined with the manual or 8.7, 6.6 and 7.8 with the auto. 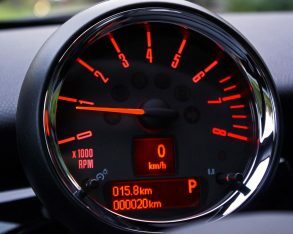 that performance and good fuel economy too? 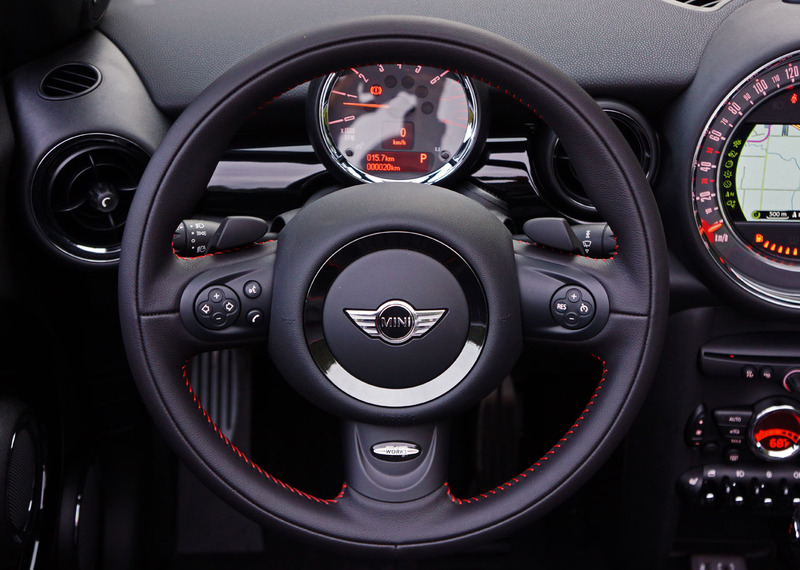 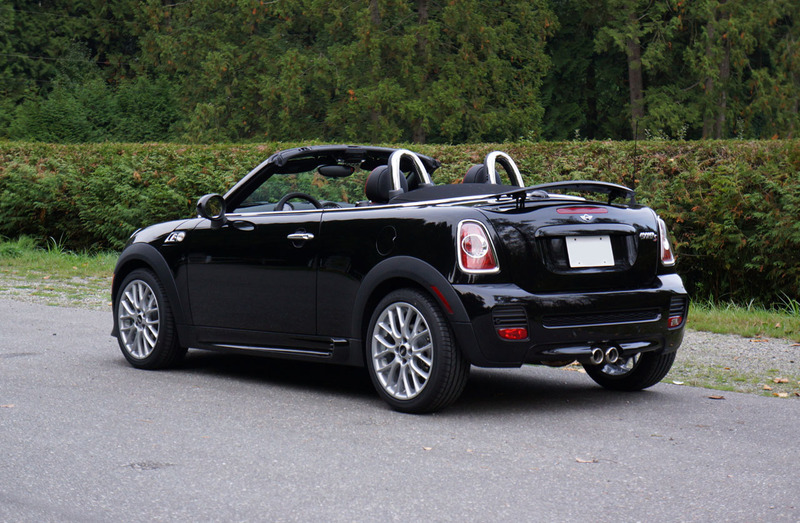 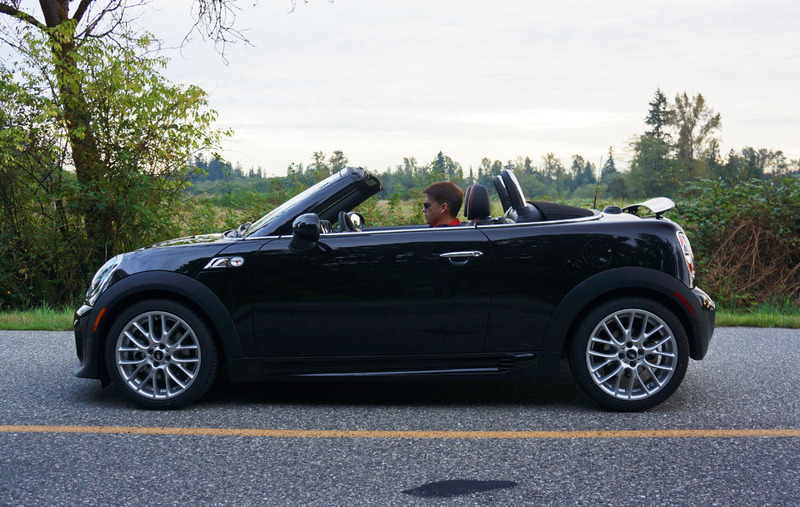 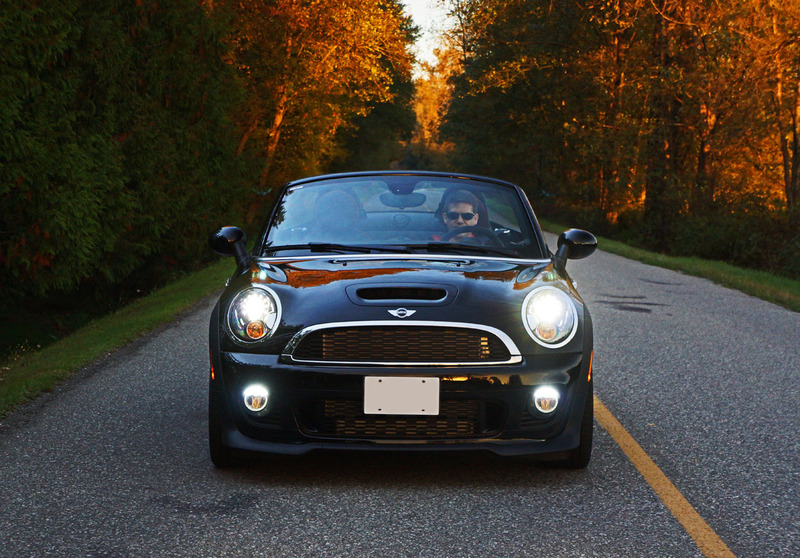 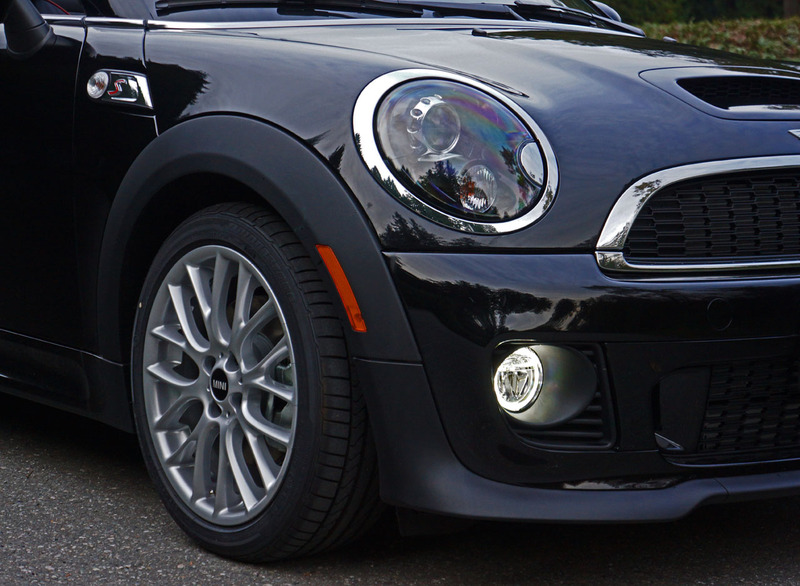 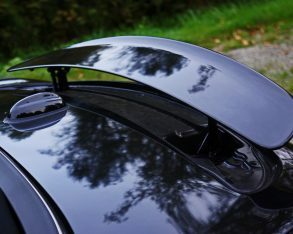 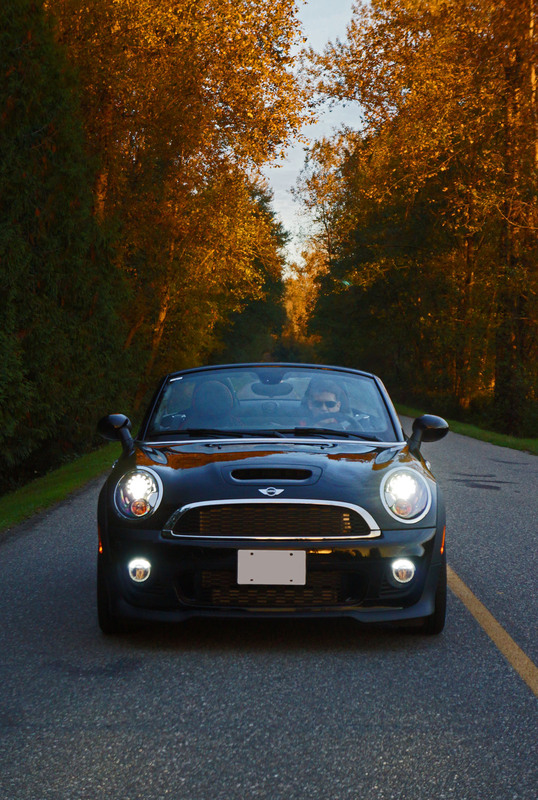 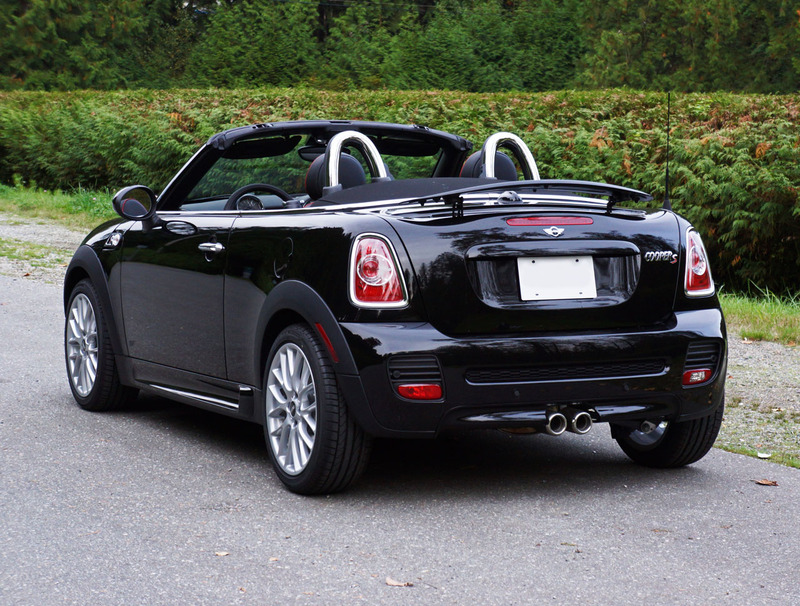 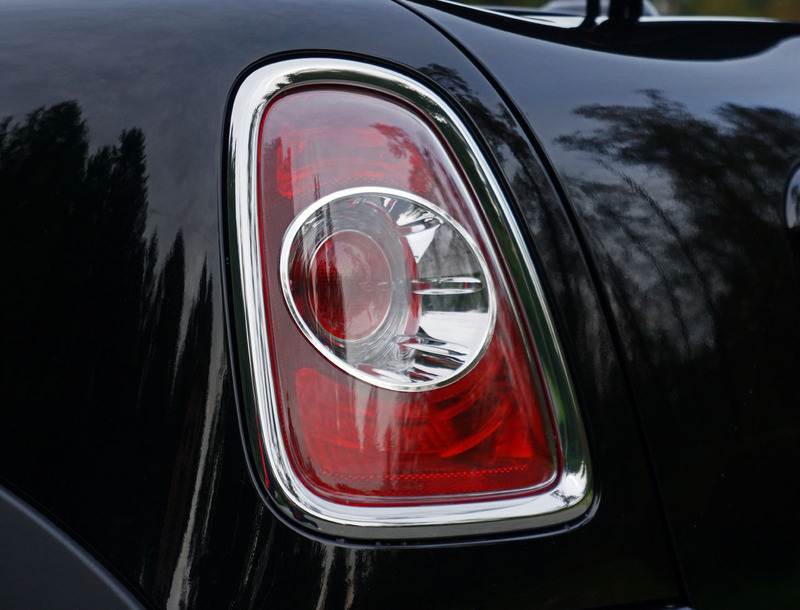 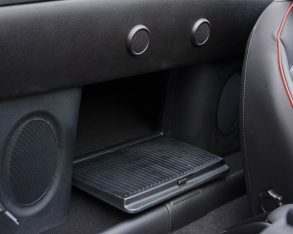 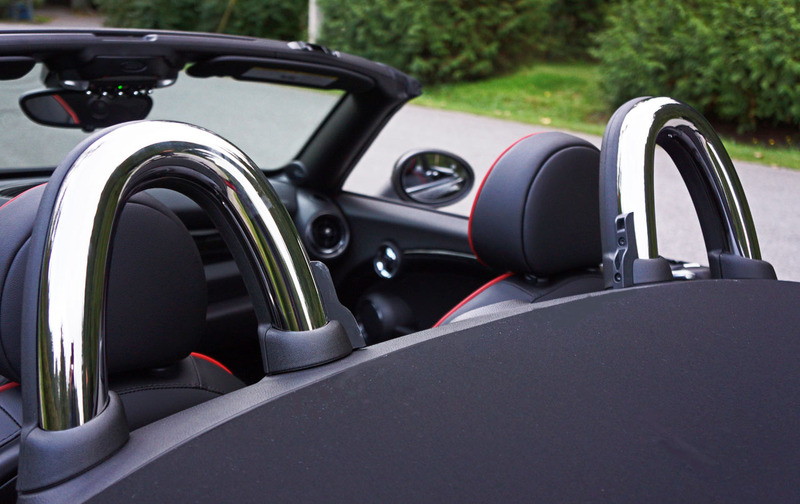 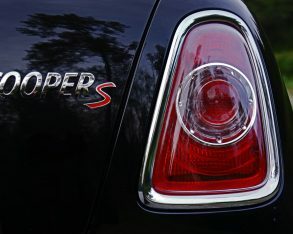 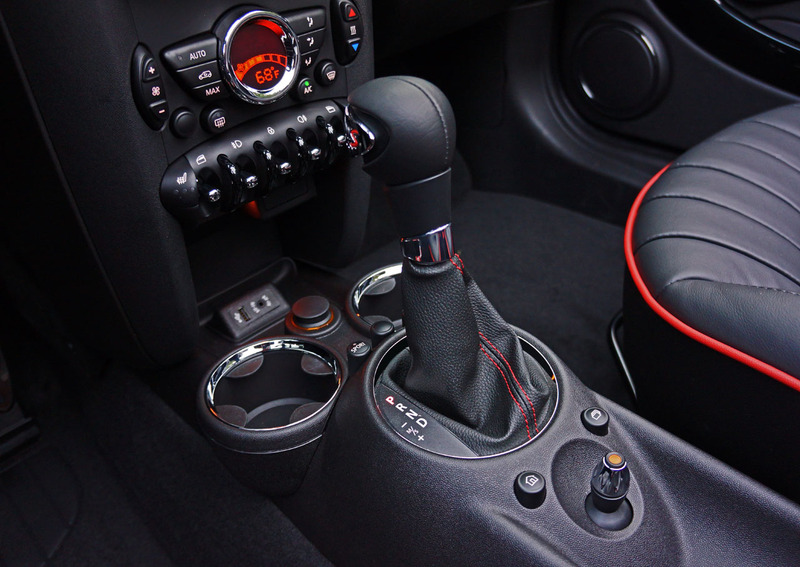 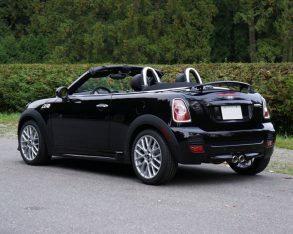 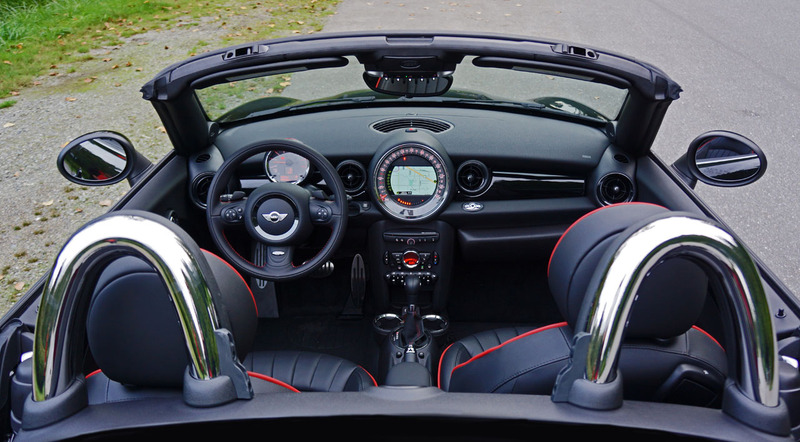 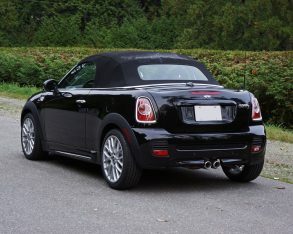 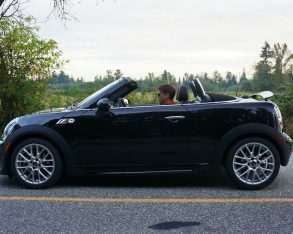 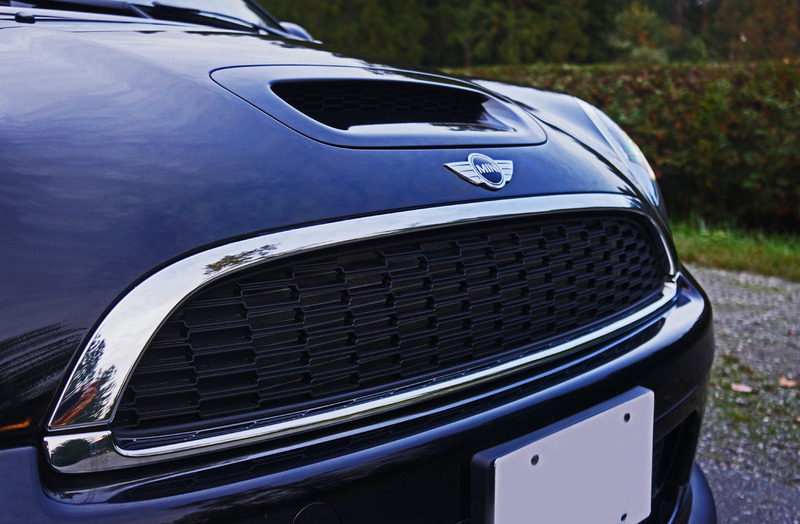 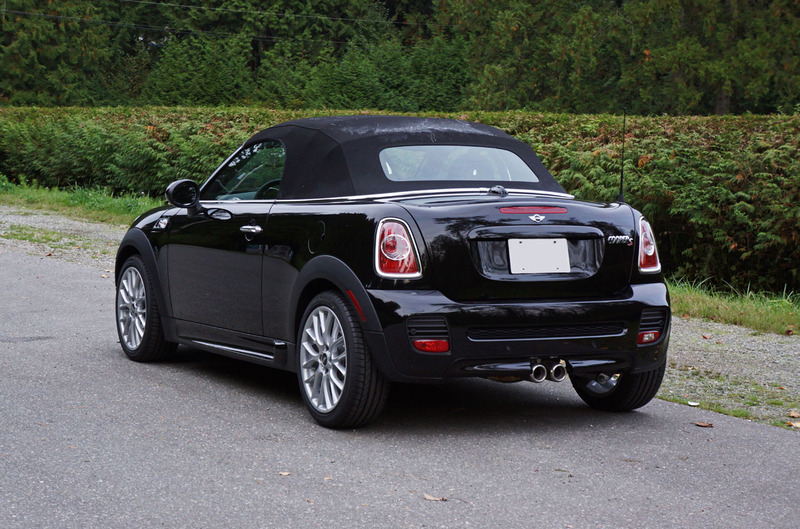 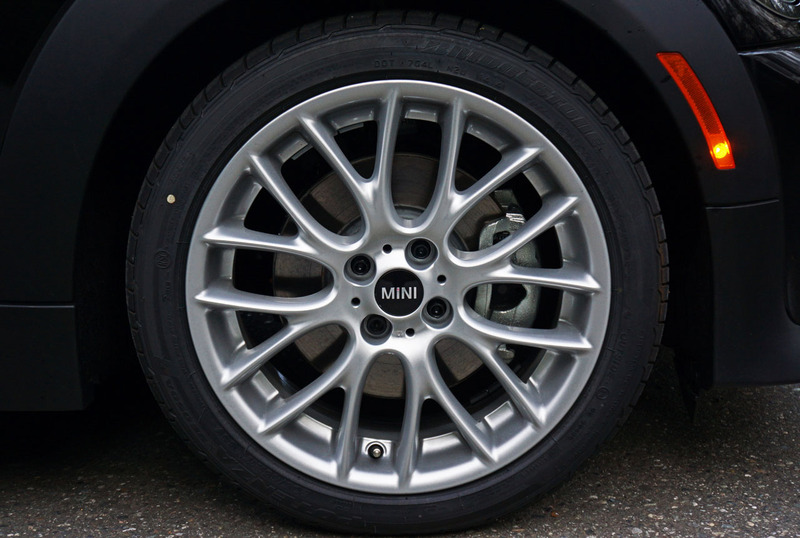 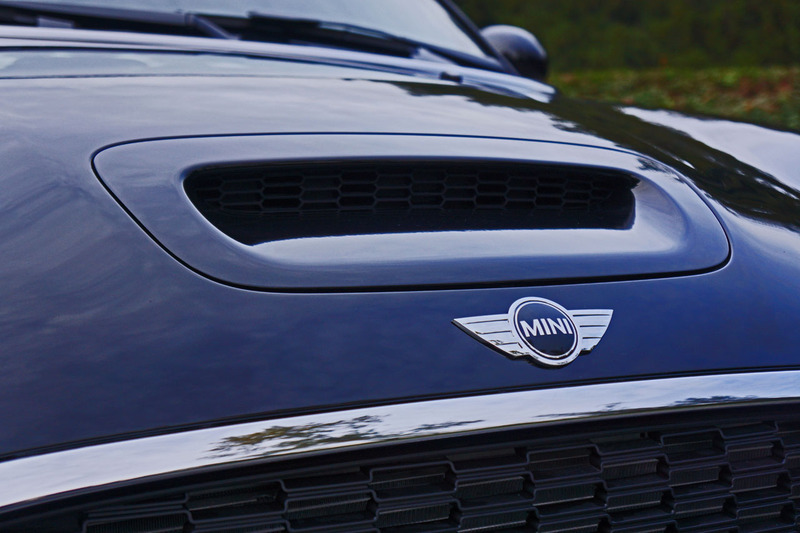 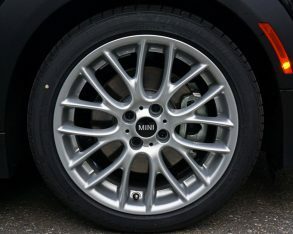 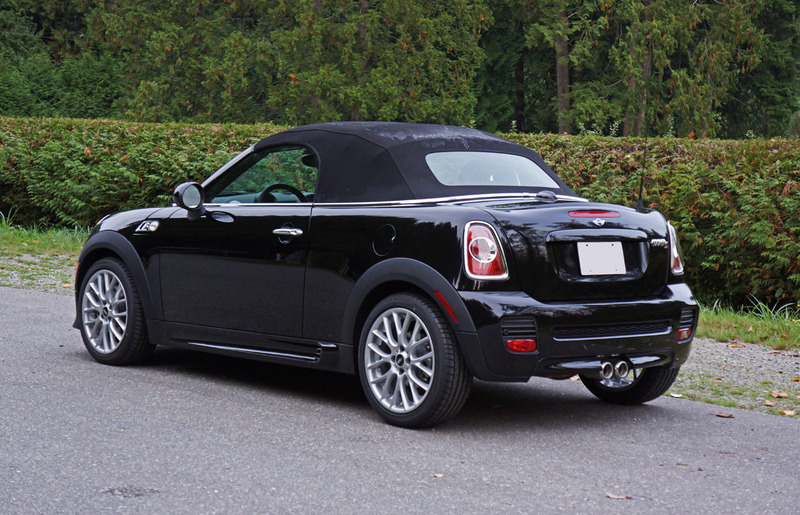 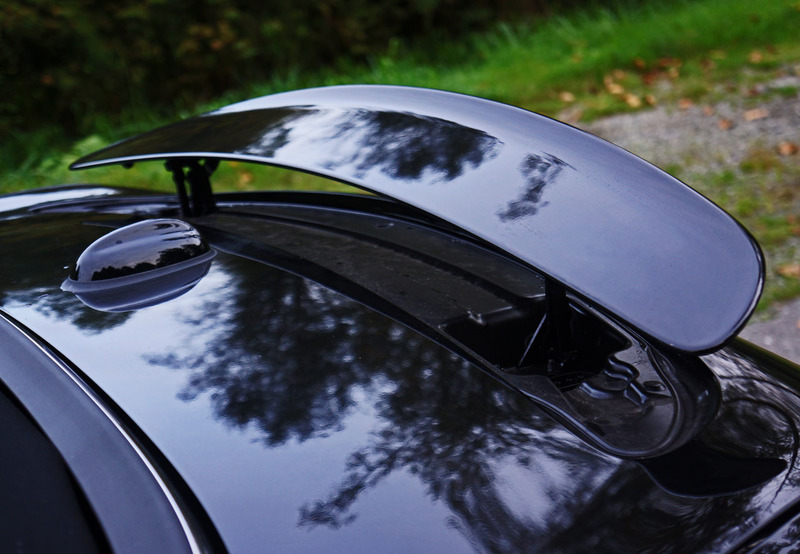 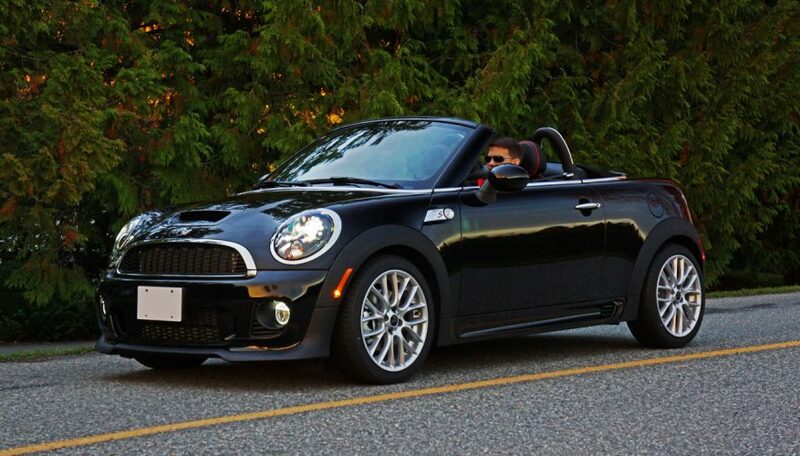 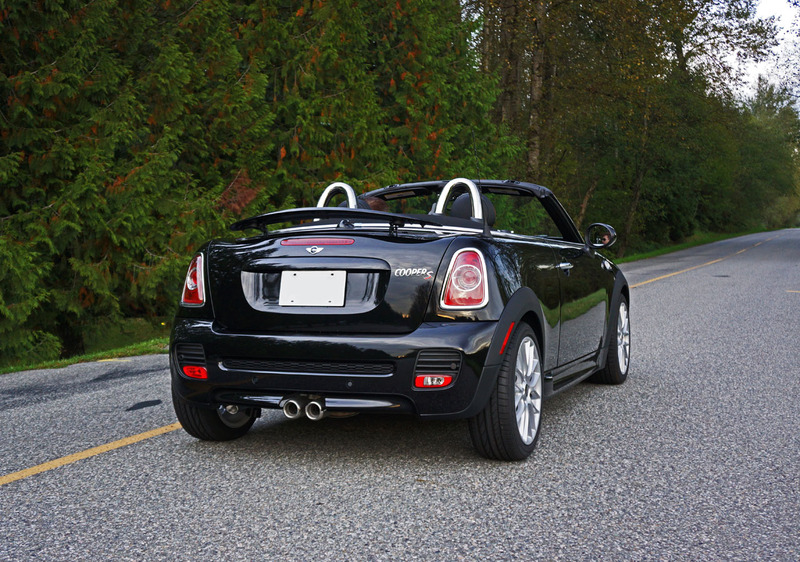 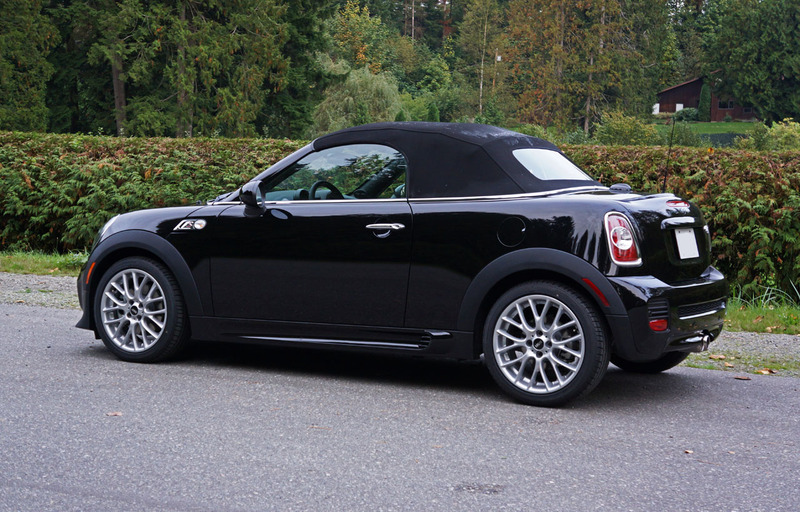 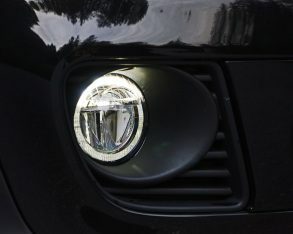 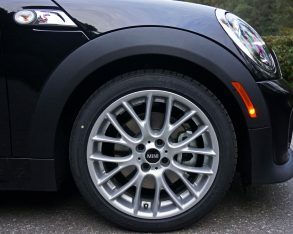 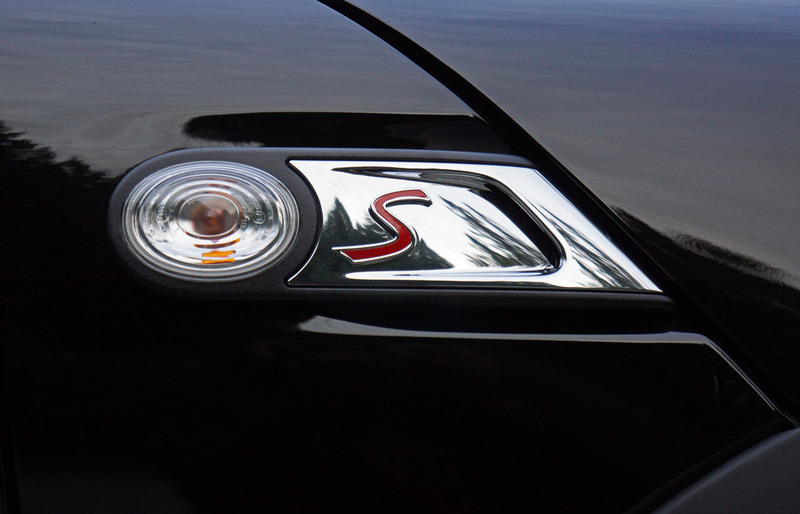 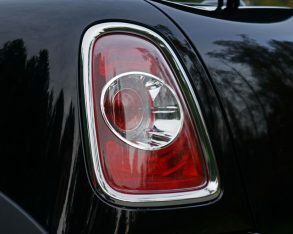 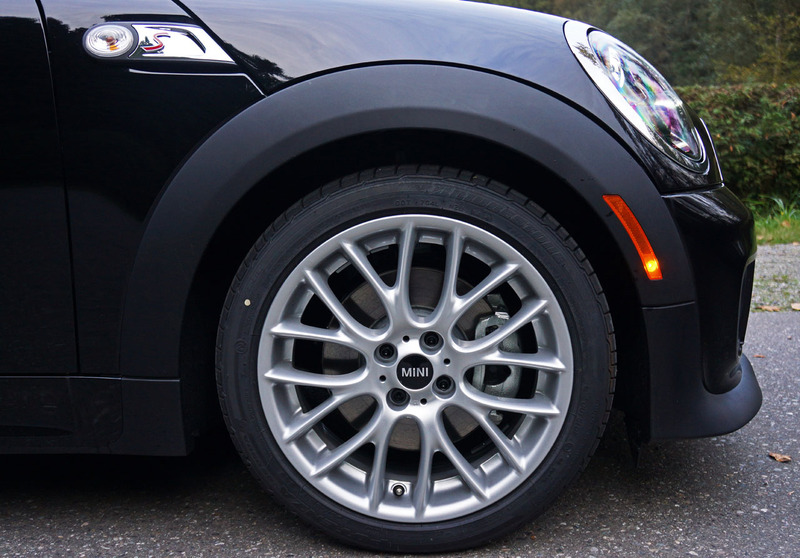 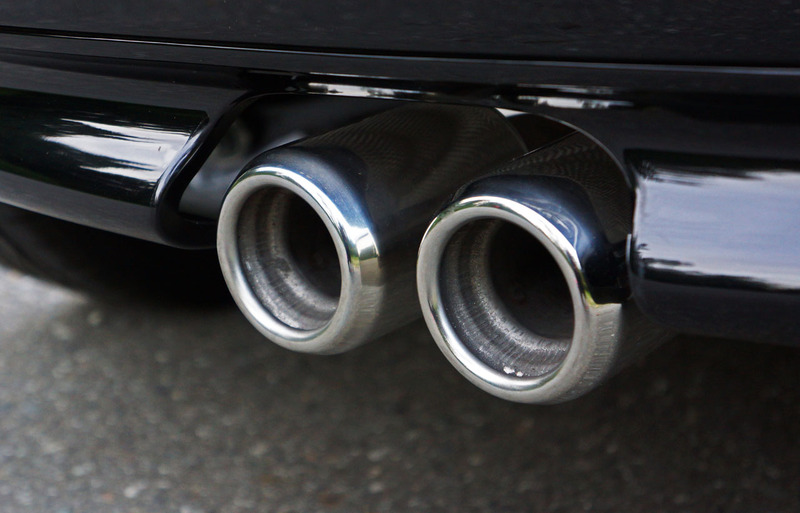 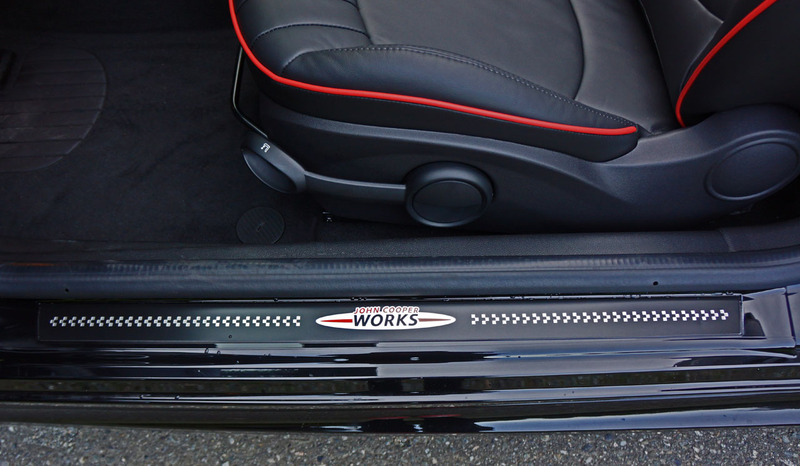 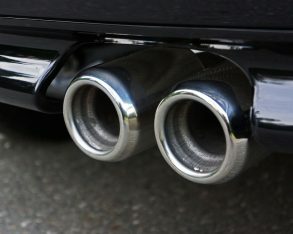 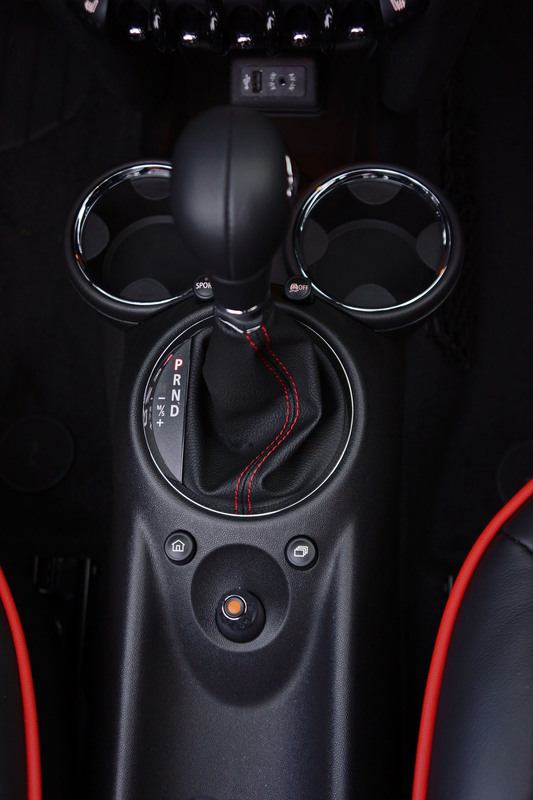 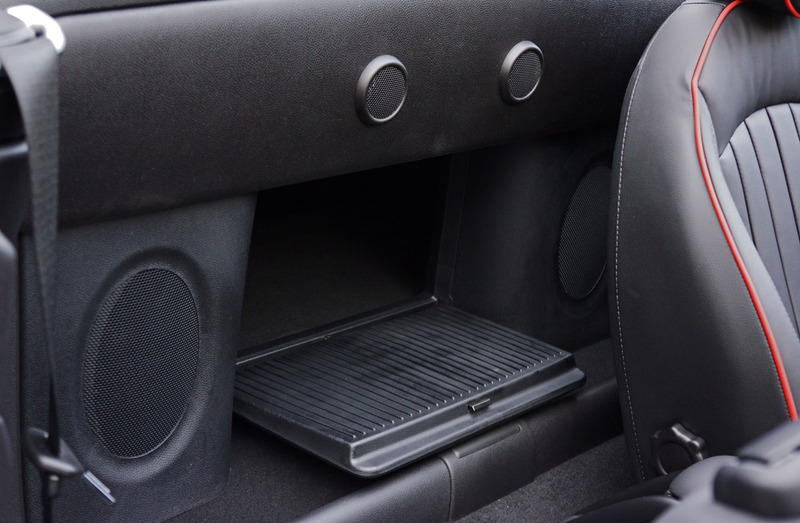 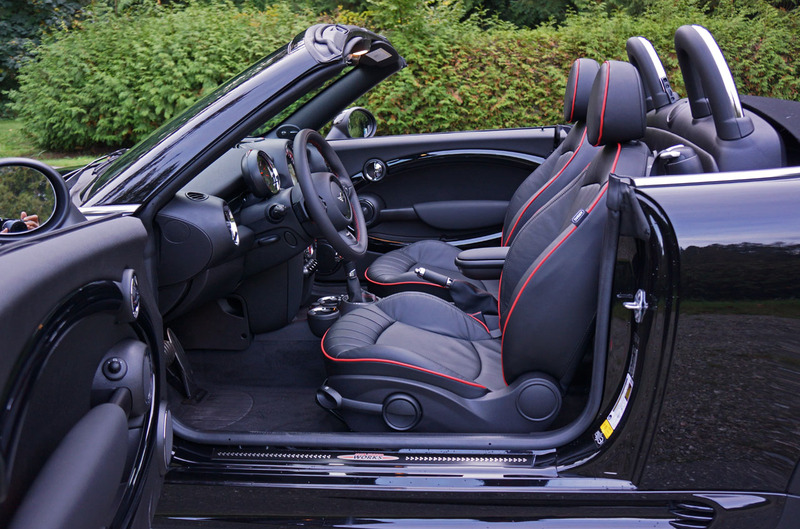 That’s just one of many Mini attributes that keep owners happy long after their initial purchase. 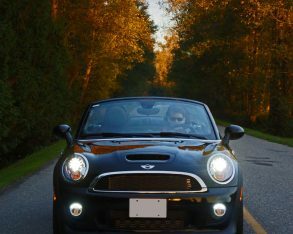 I’m guessing that life with a Cooper S Roadster would be especially enjoyable, and certainly look forward to the next sunny day I get to take one for an extended spin.